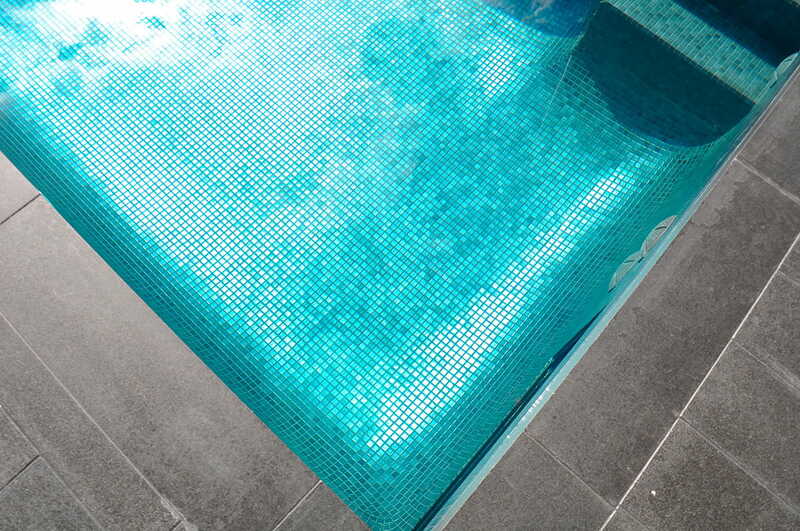 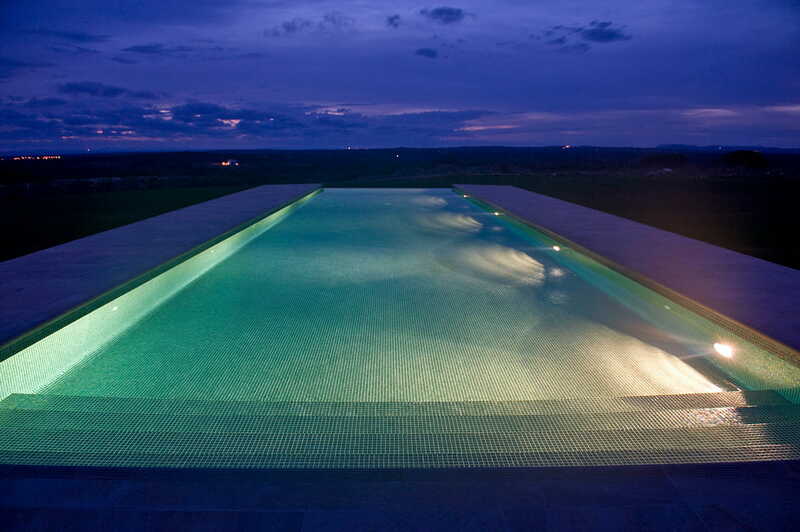 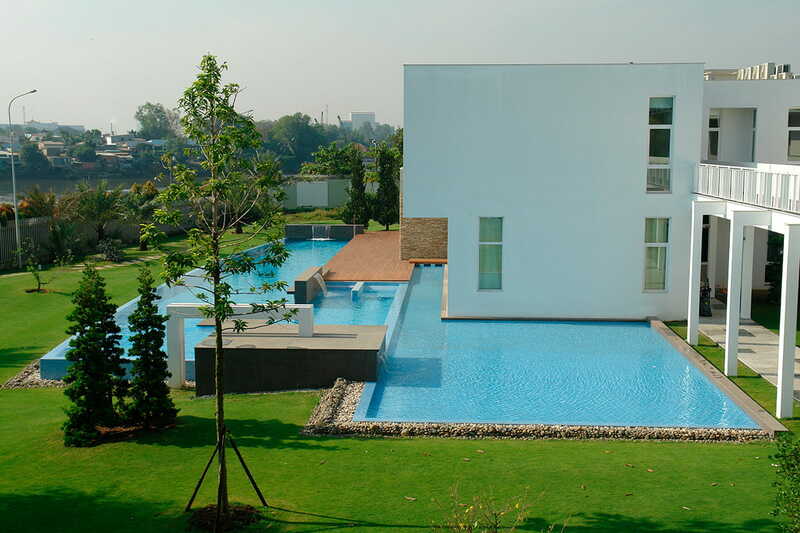 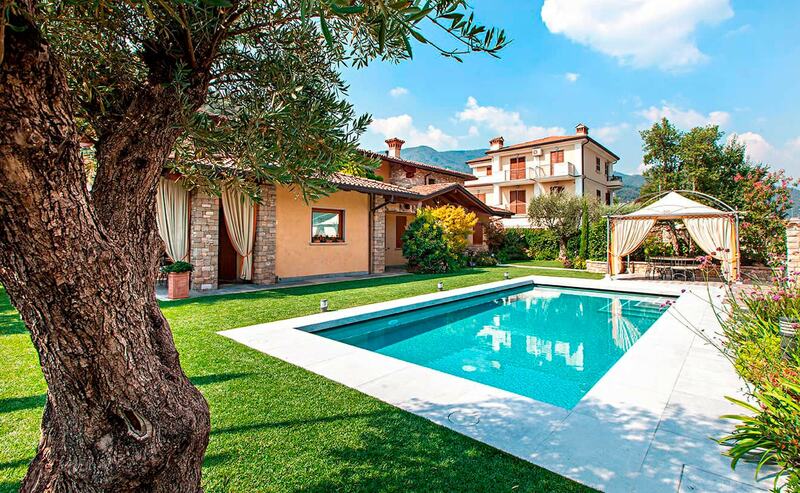 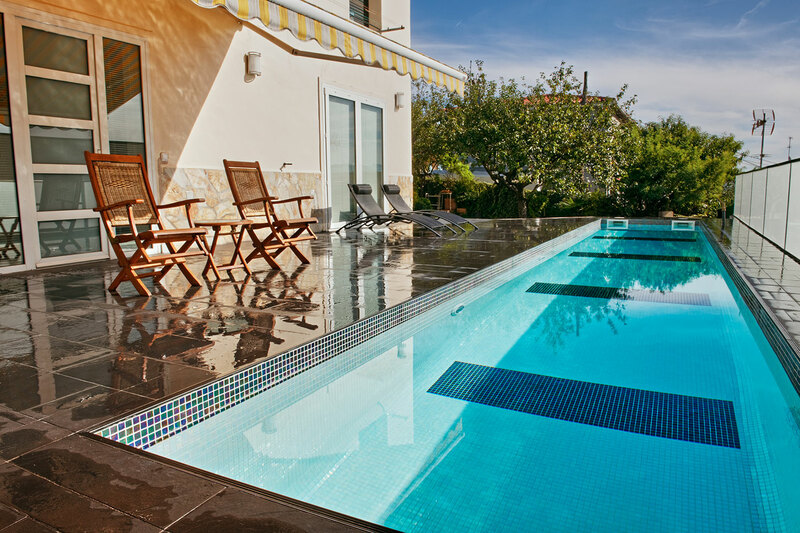 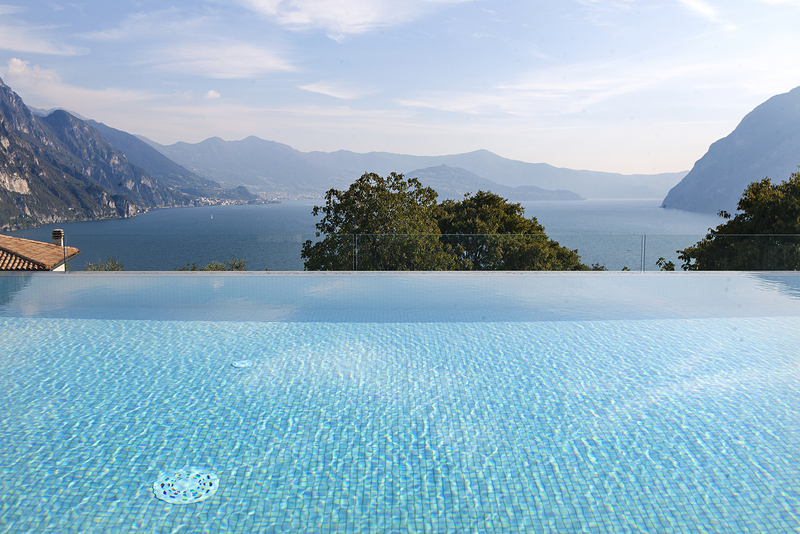 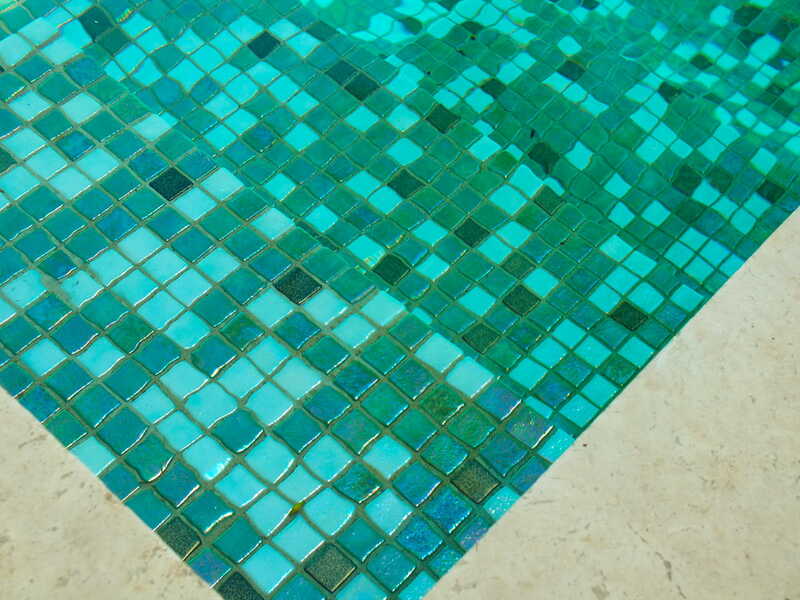 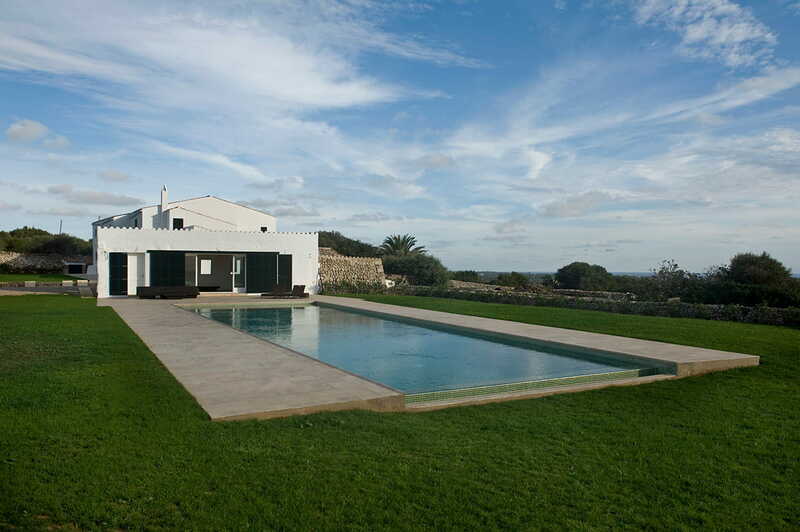 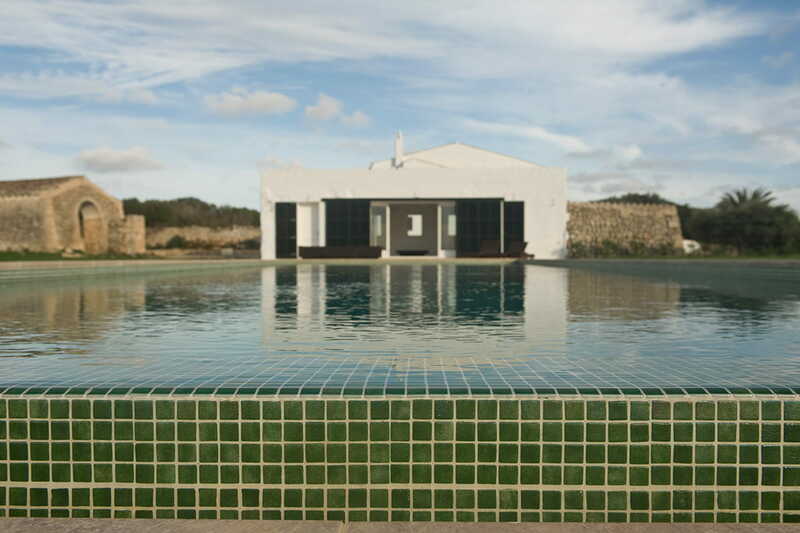 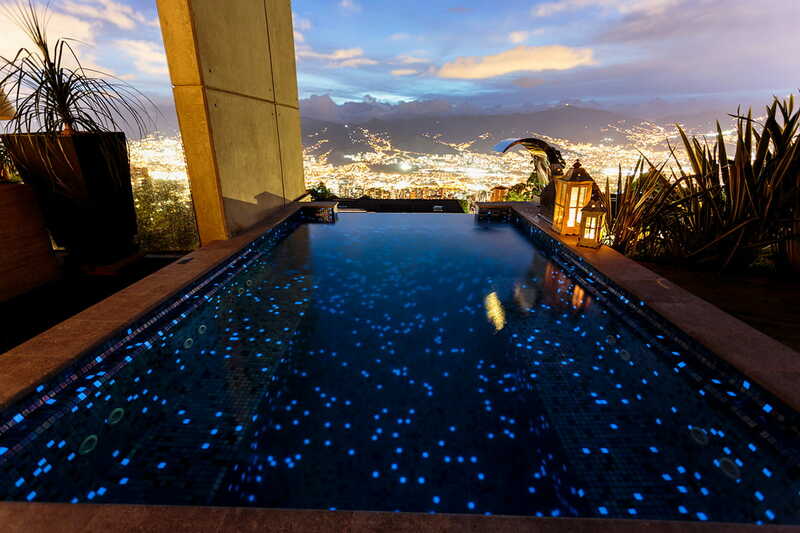 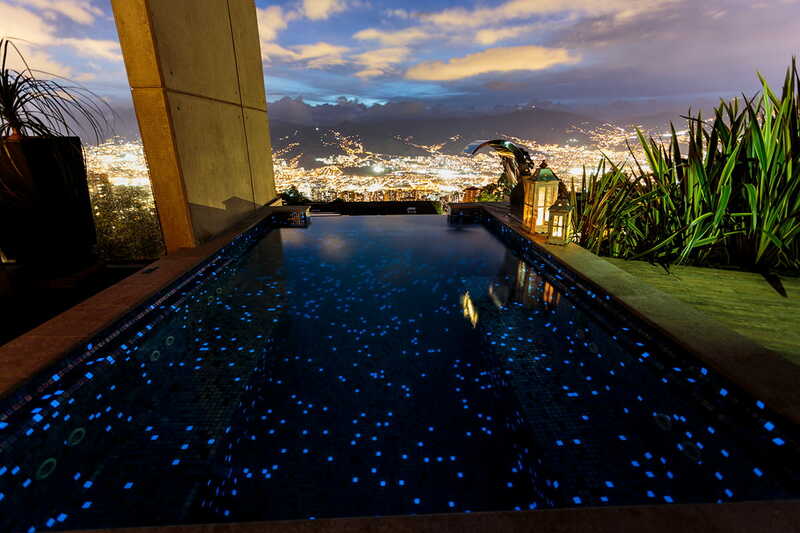 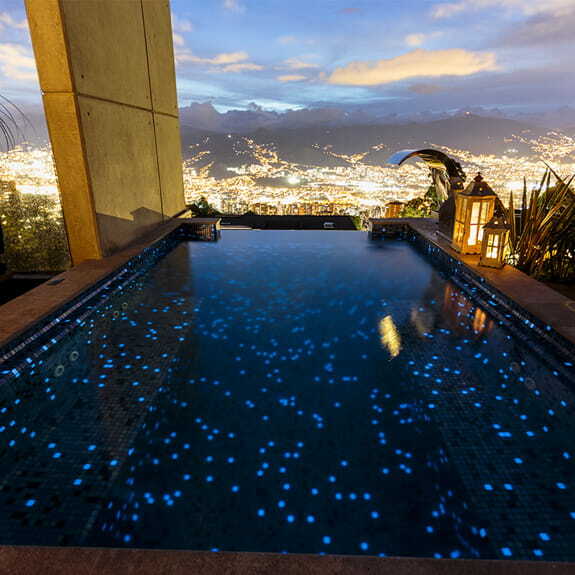 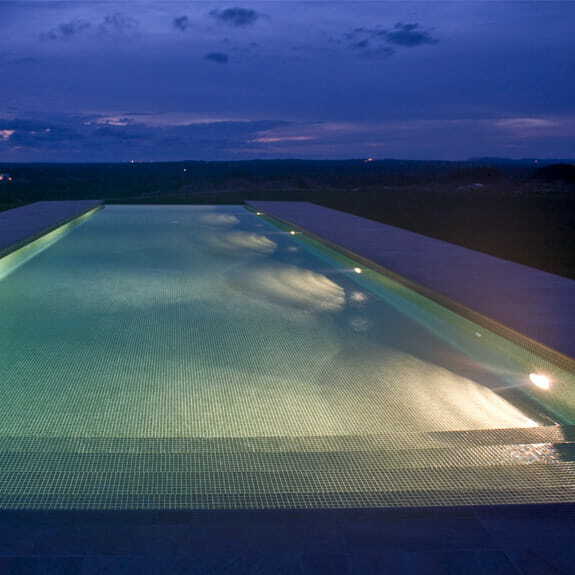 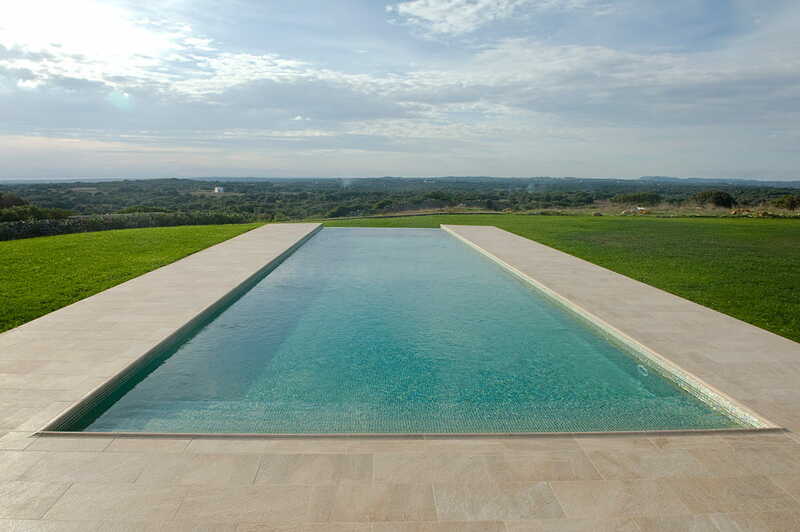 Ezarri swimming pool mosaics: water in its most beautiful state. 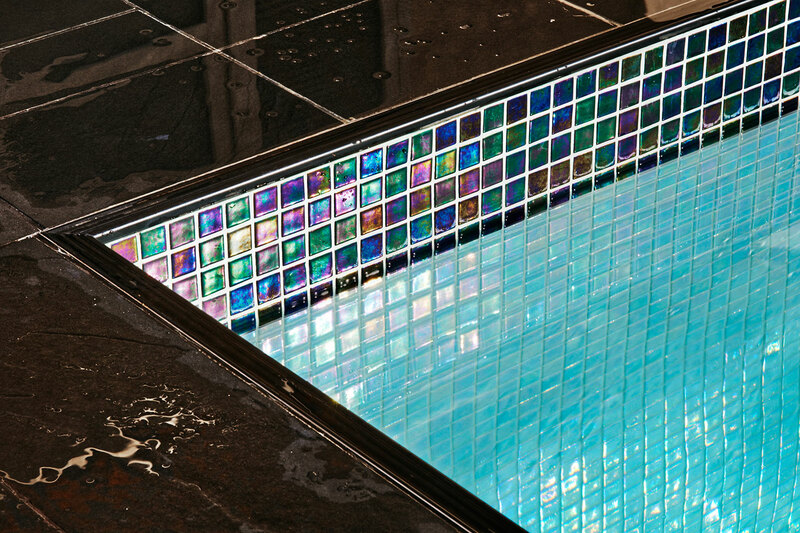 Thanks to the wide range of colours, sizes and textures of Ezarri´s mosaics, you can create the exact effect that you want for your pool. 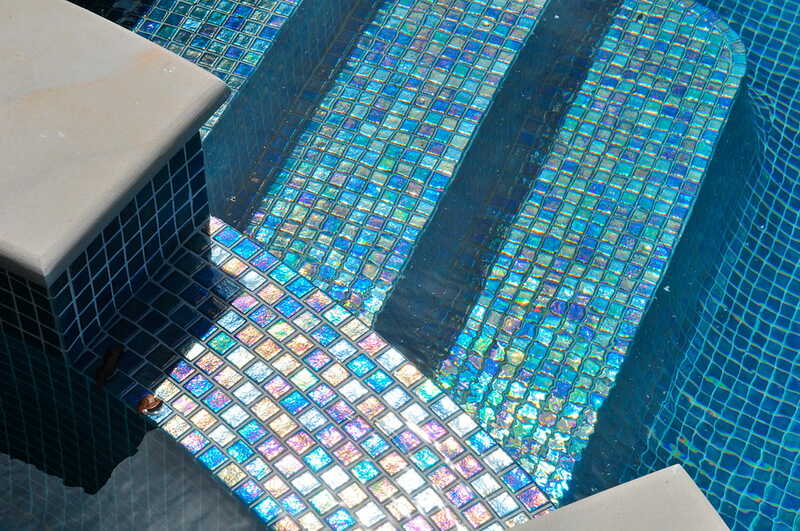 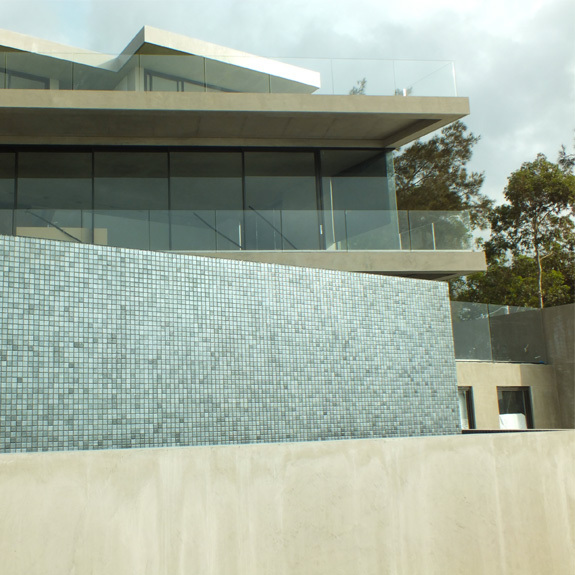 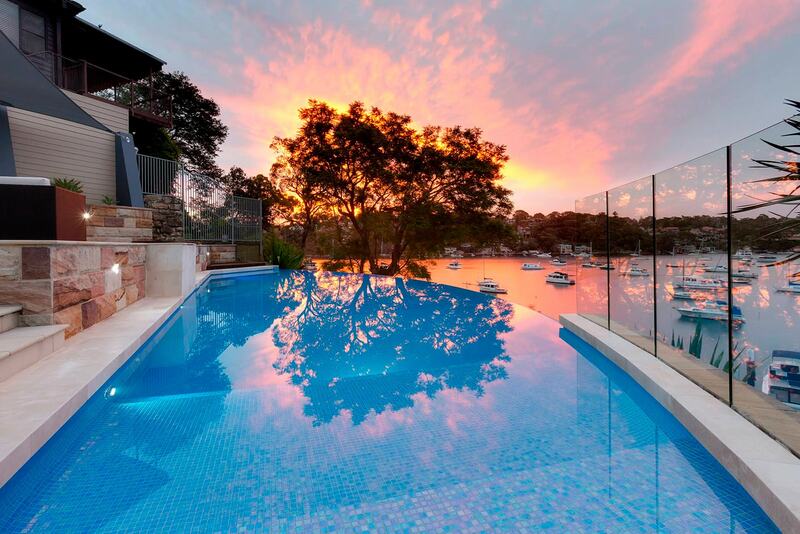 Glass mosaics reflect the water’s natural beauty like no other material. 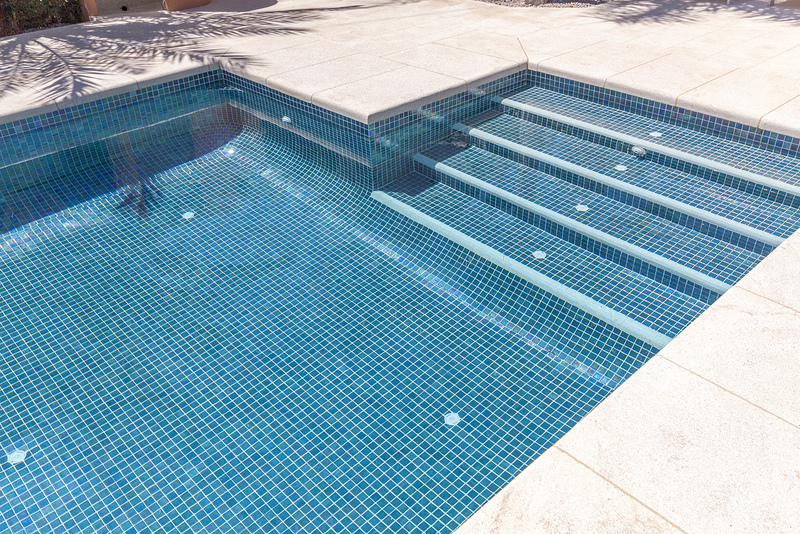 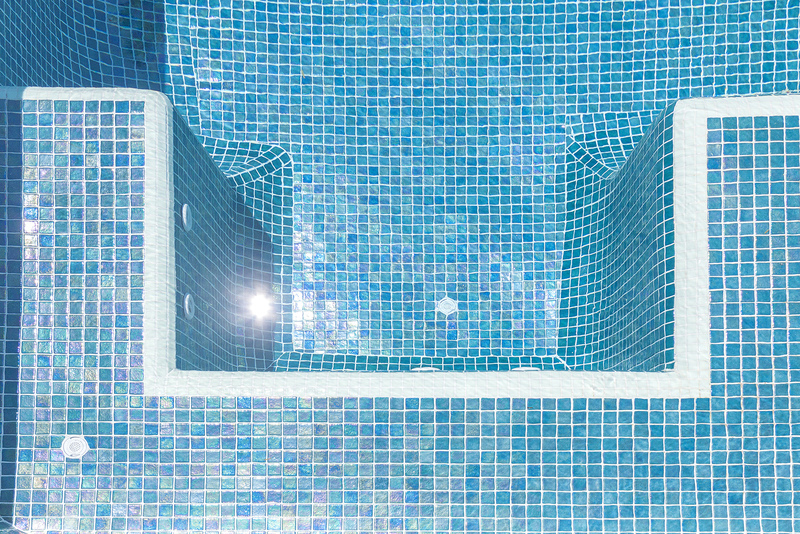 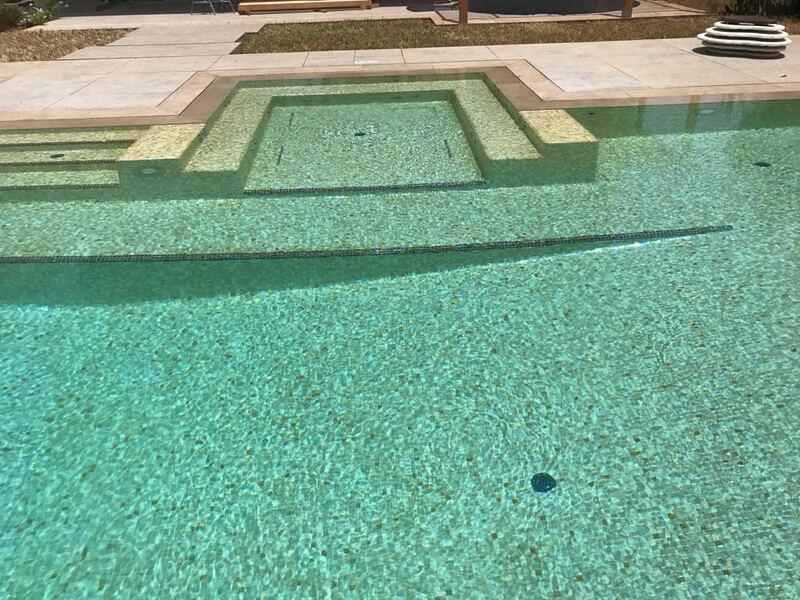 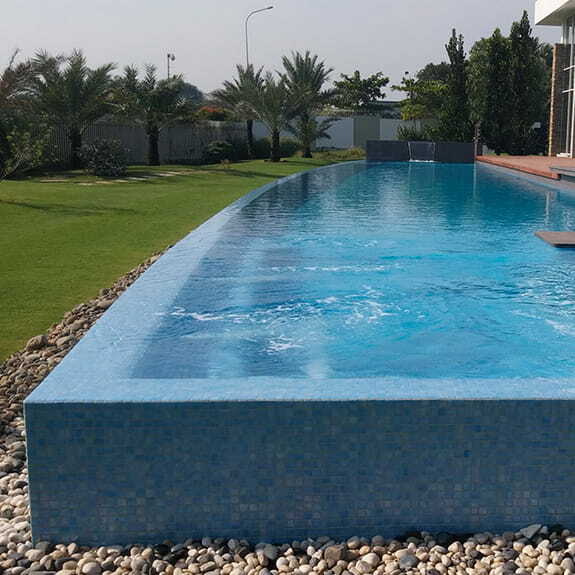 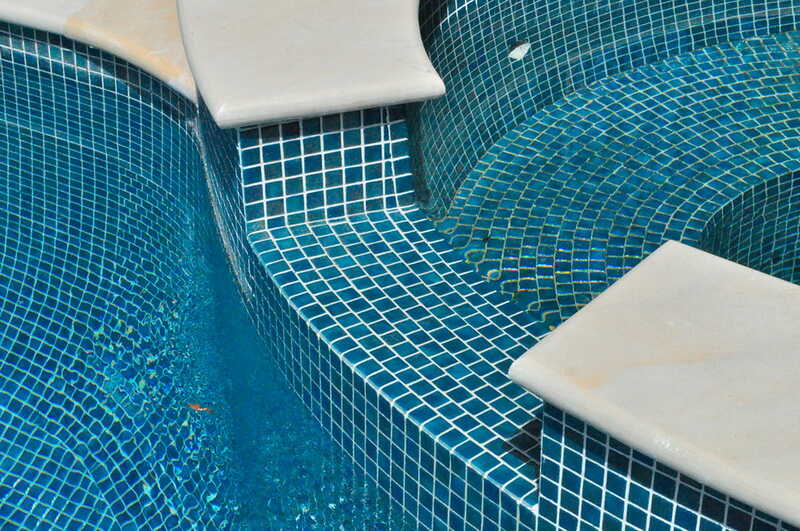 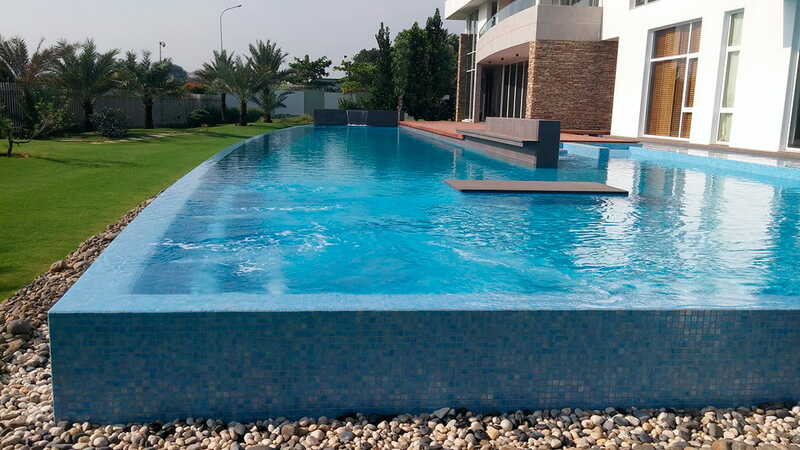 There are able to adapt to curved surfaces, they there are resistant and beautiful, it´s a pure, clean and elegant mosaic..
With our wide range of mosaics for swimming pools, you can turn your pool into a luxurious oasis. 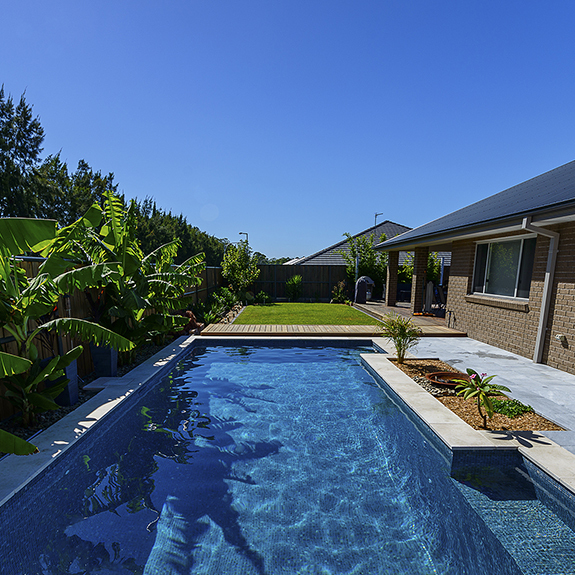 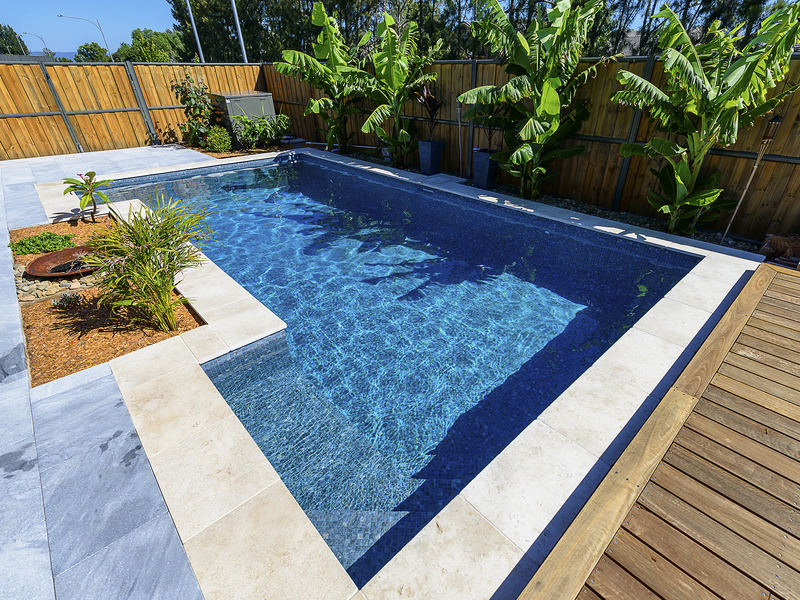 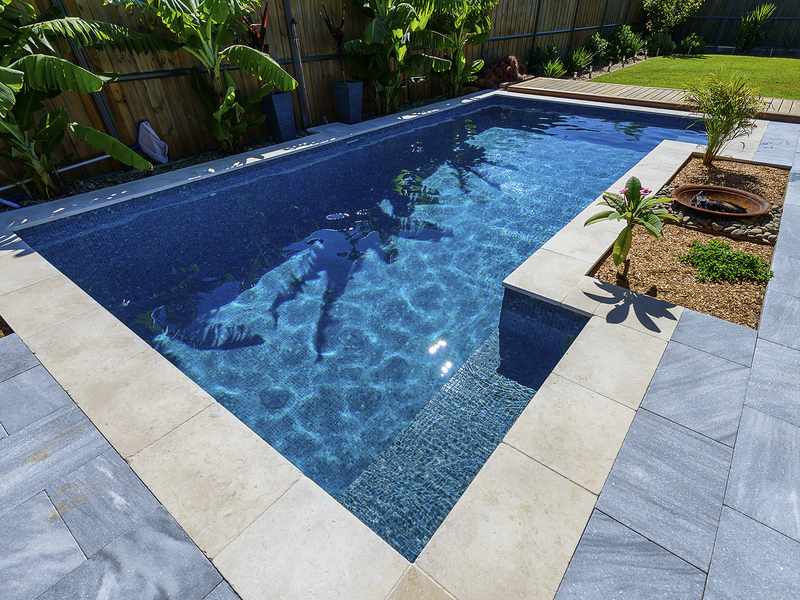 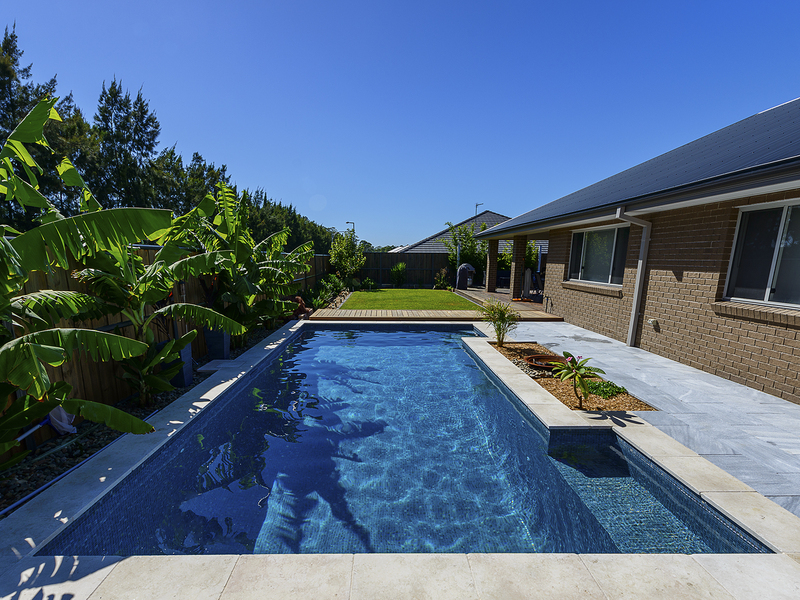 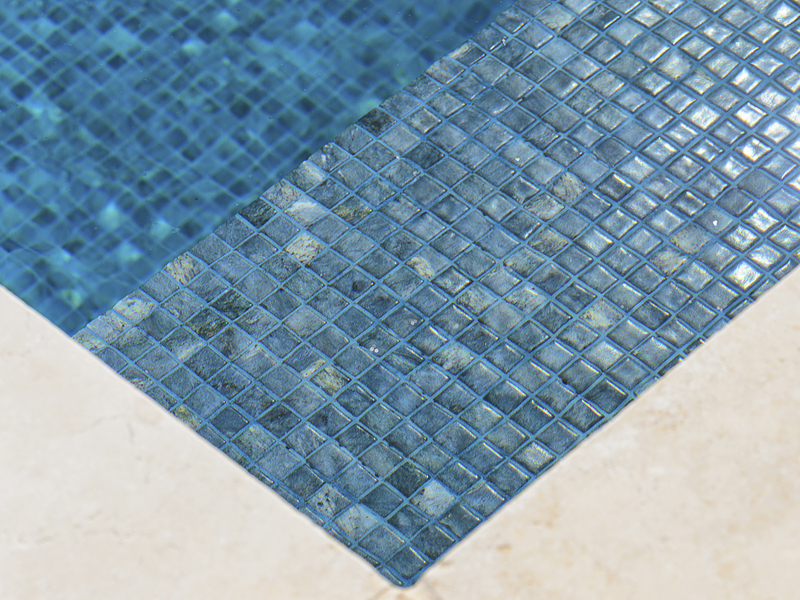 We have a variety of collections with coloured tiles, different effects and varying textures that are ideal for lining your swimming pool. 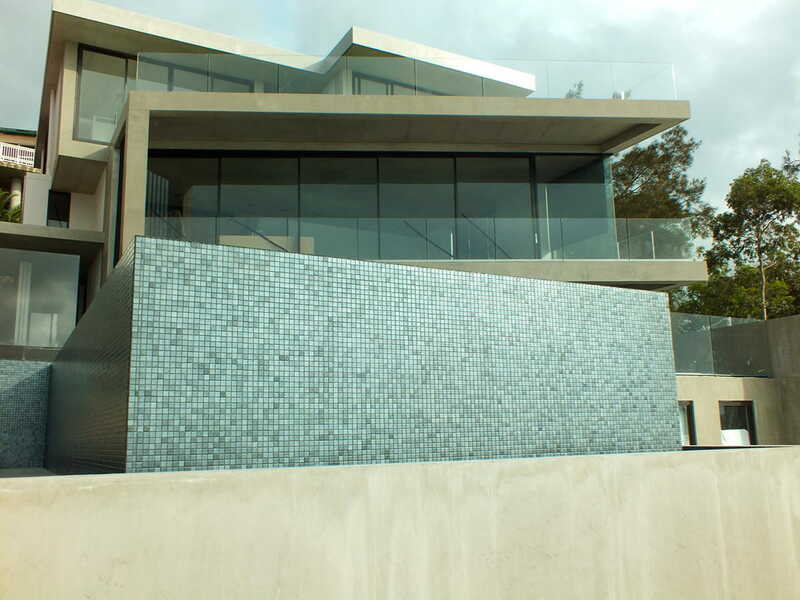 We seek quality and perfection in finishes. 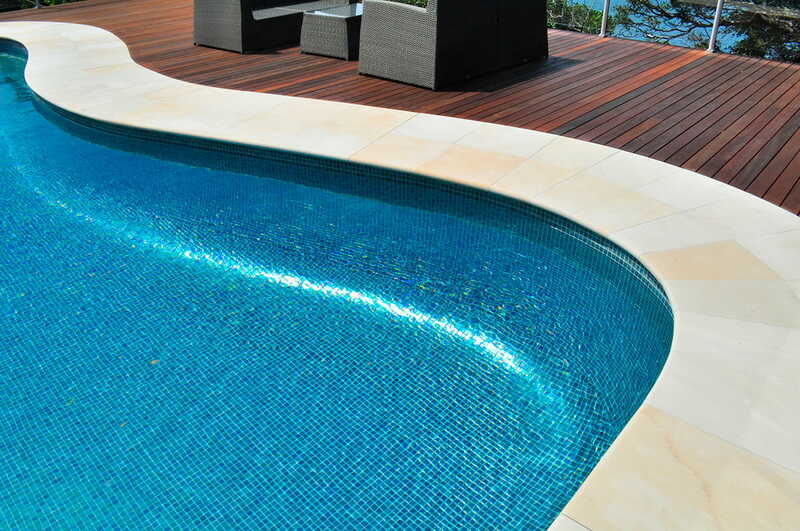 Its simplicity in installation brings about finishes of unparalleled quality. 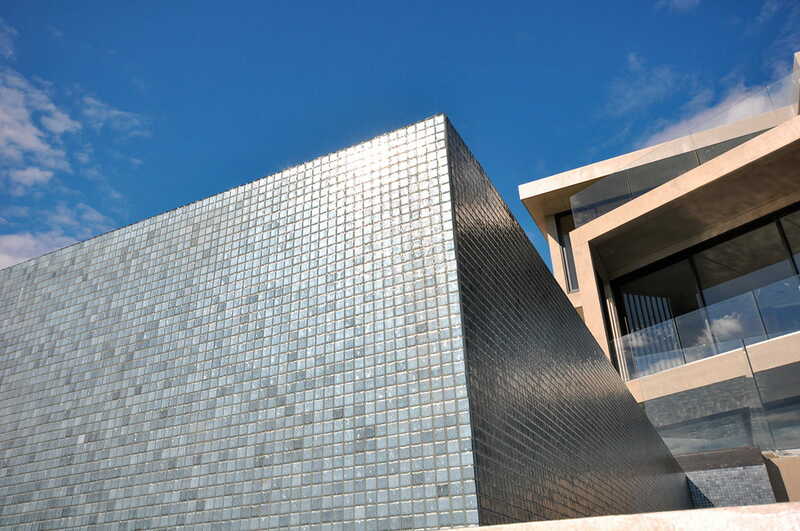 All of our mosaics are manufactured in our facilities at Lazkao, the Basque Country, Spain. 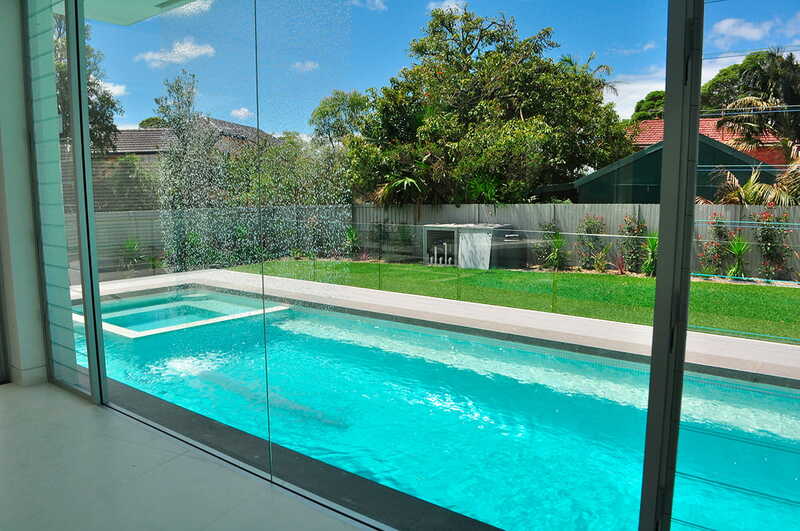 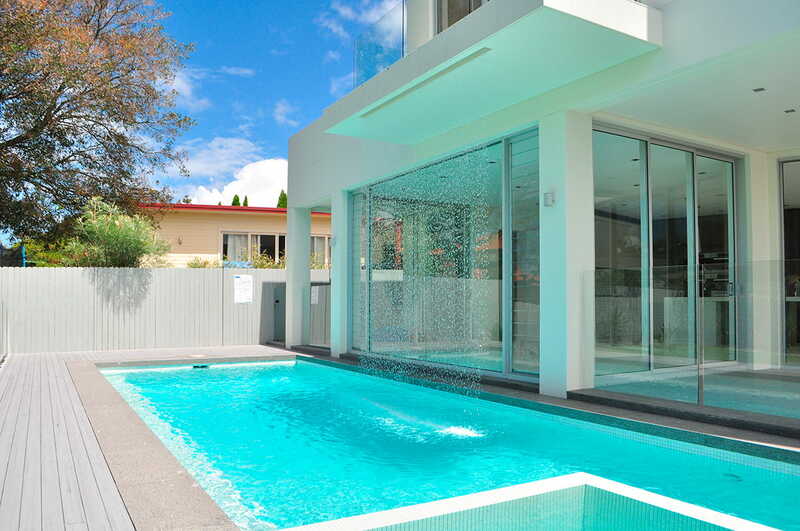 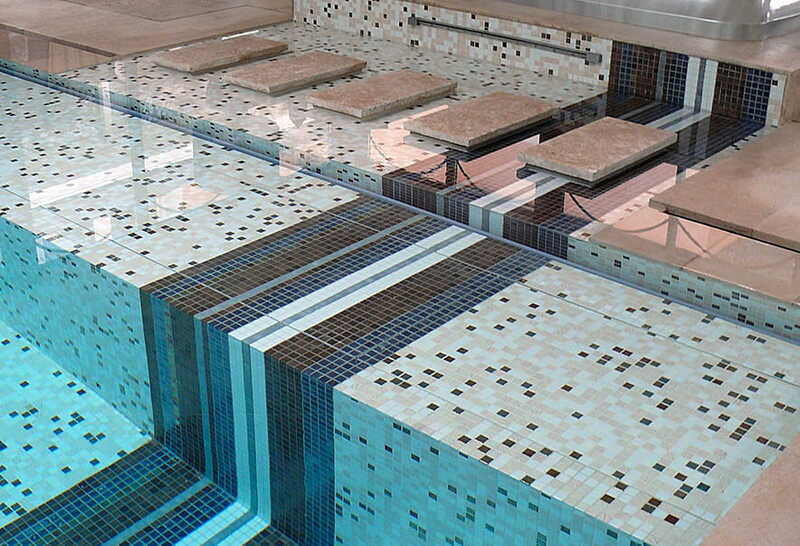 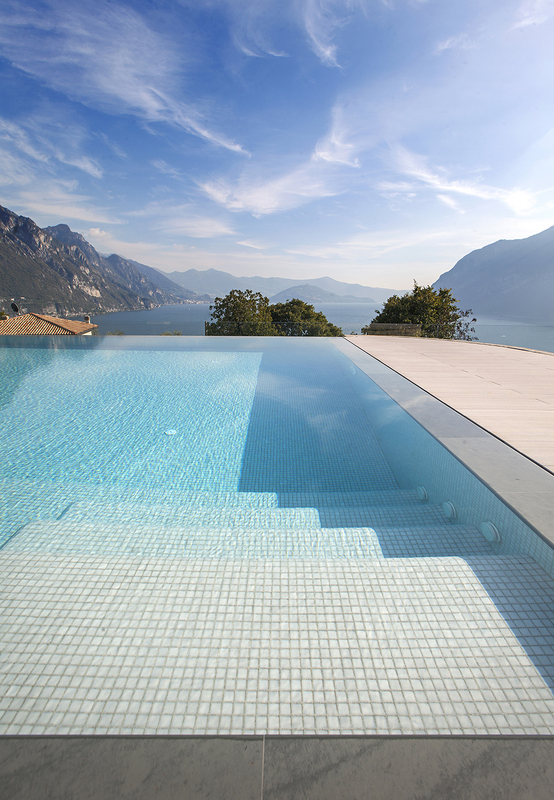 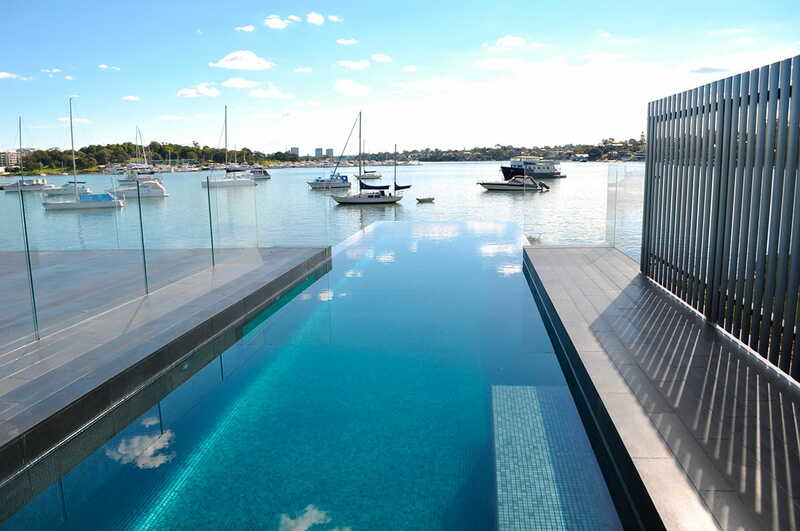 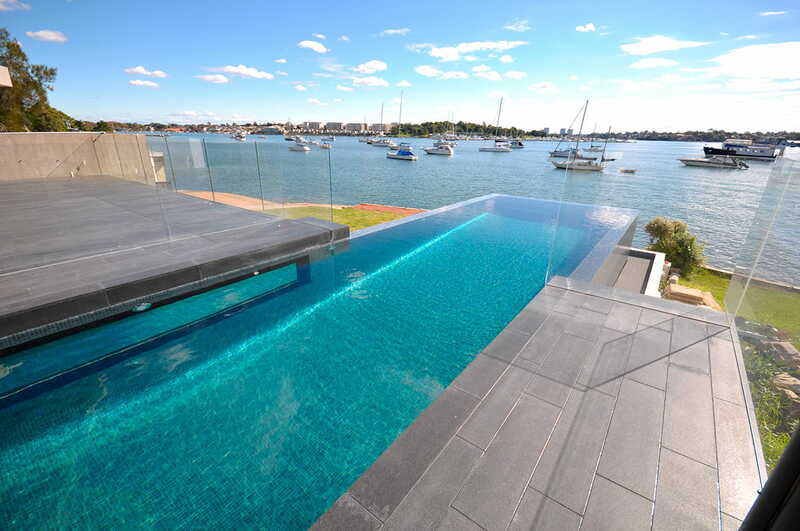 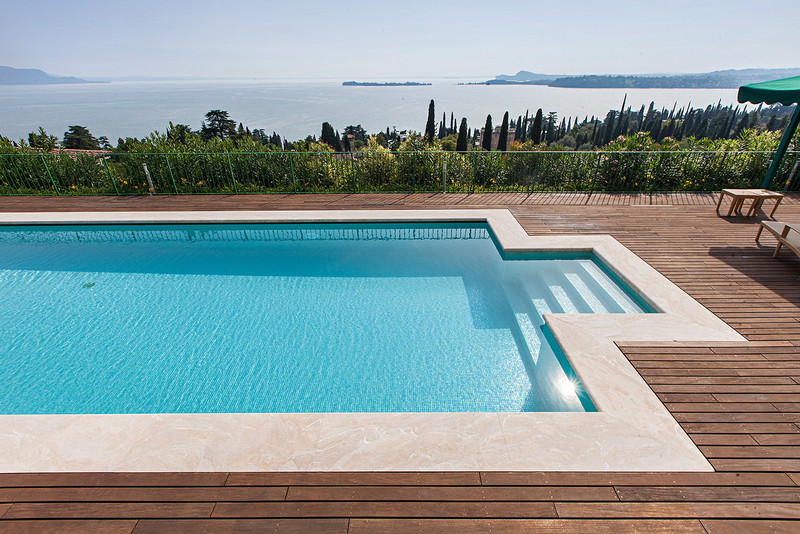 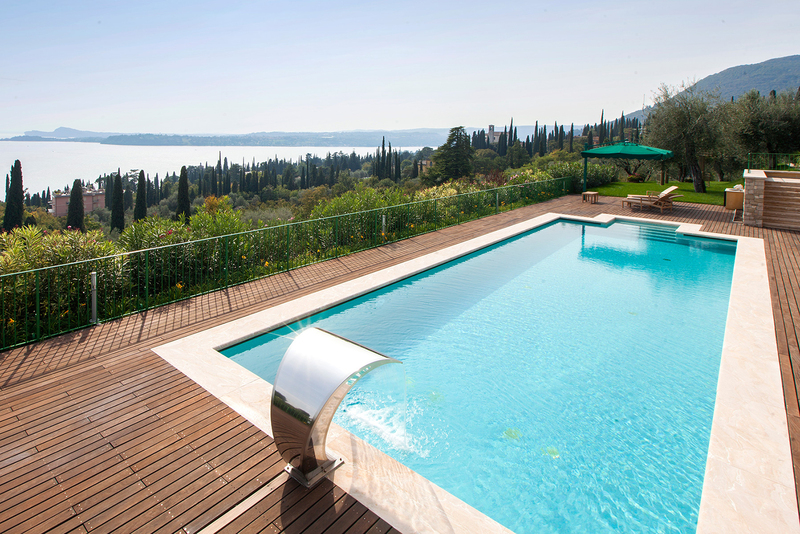 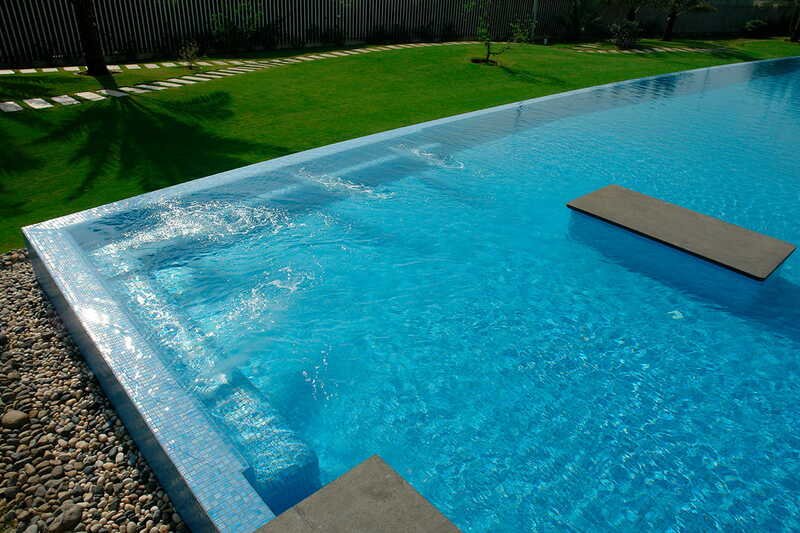 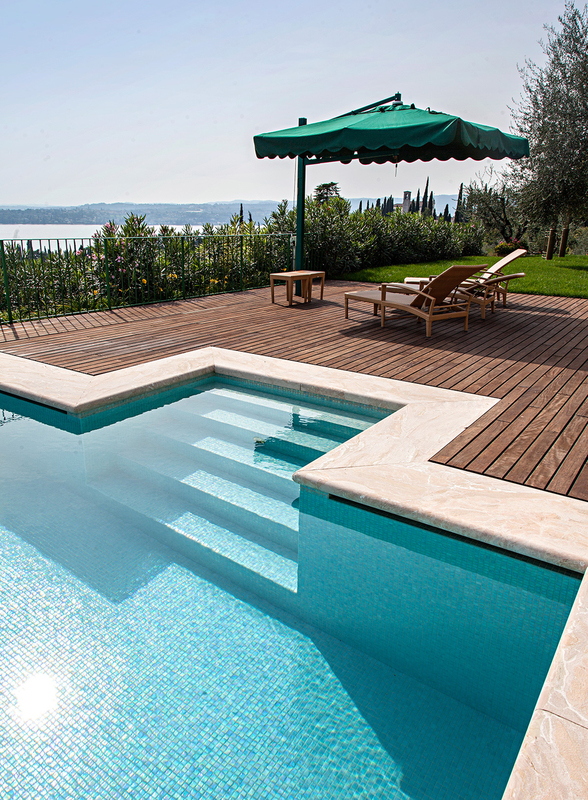 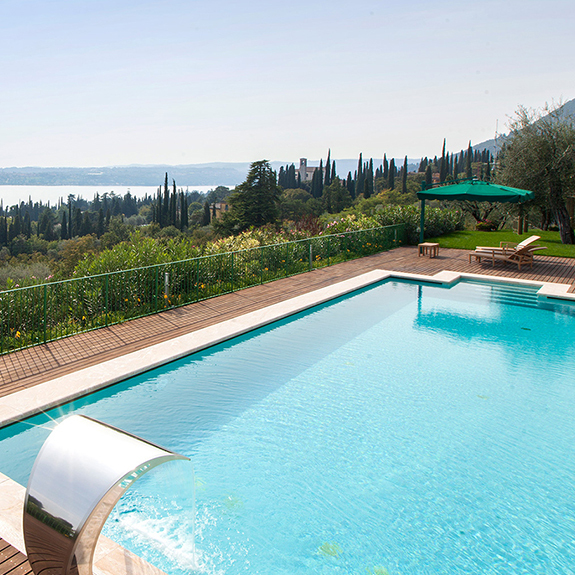 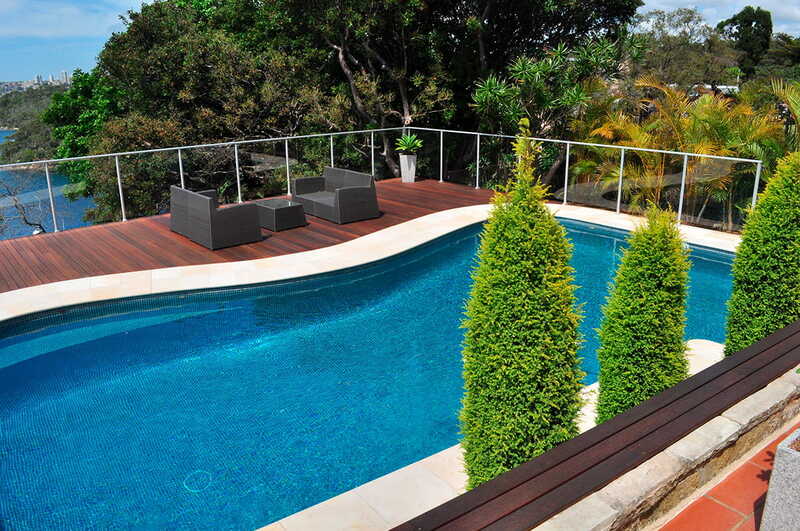 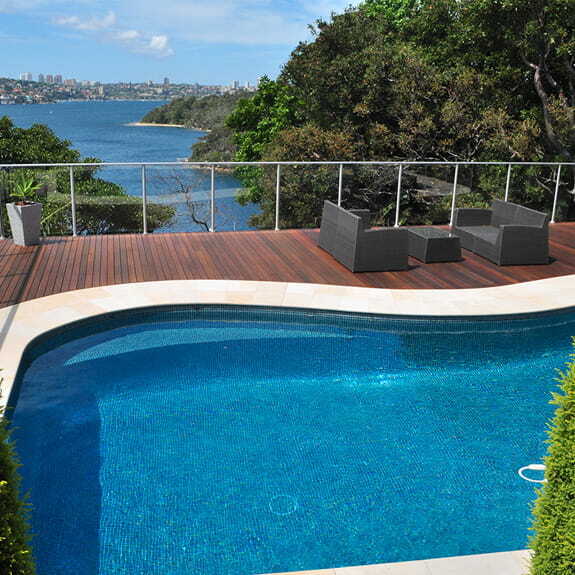 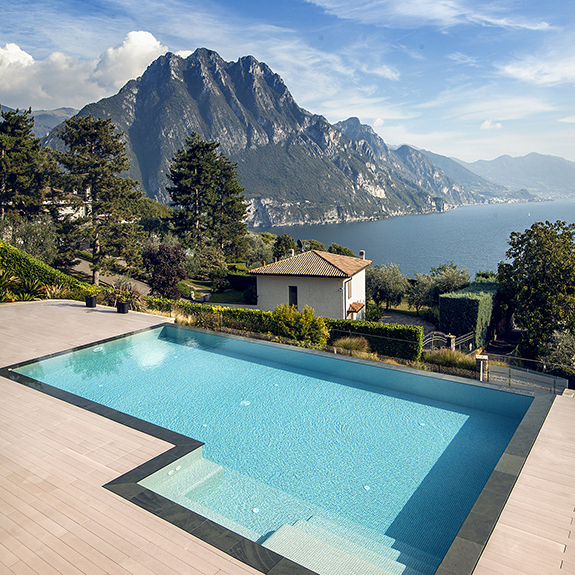 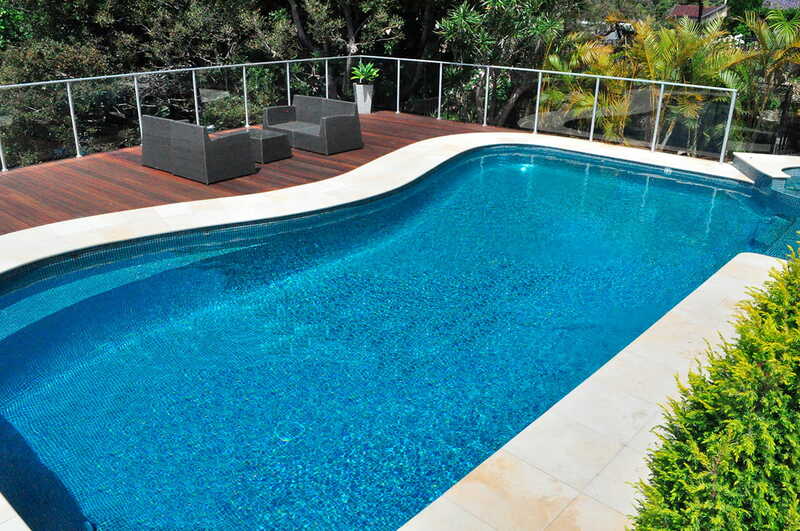 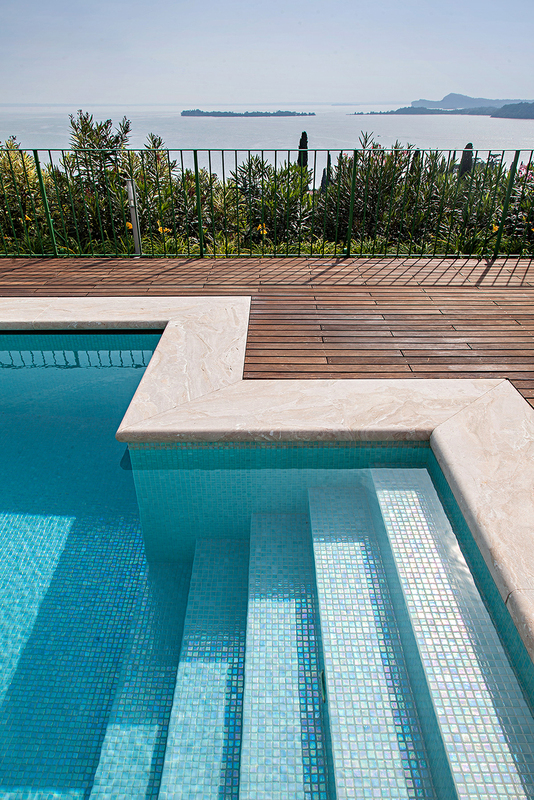 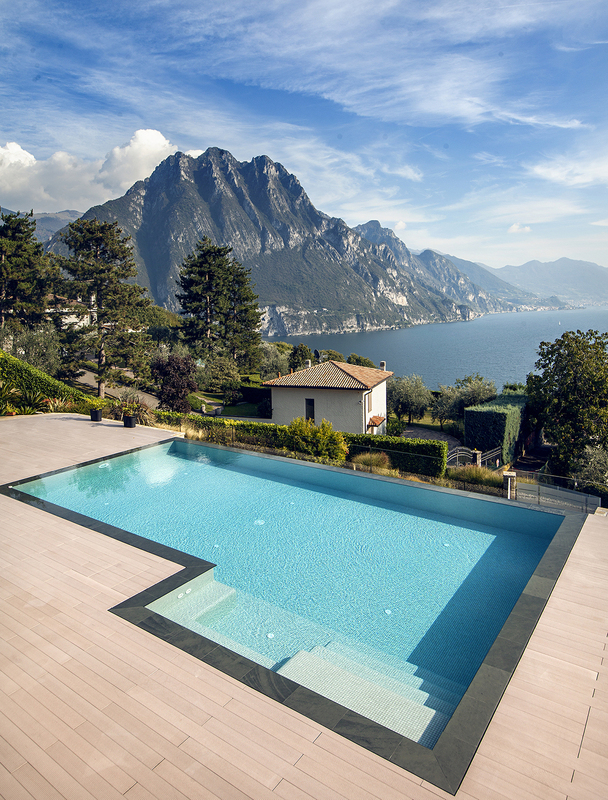 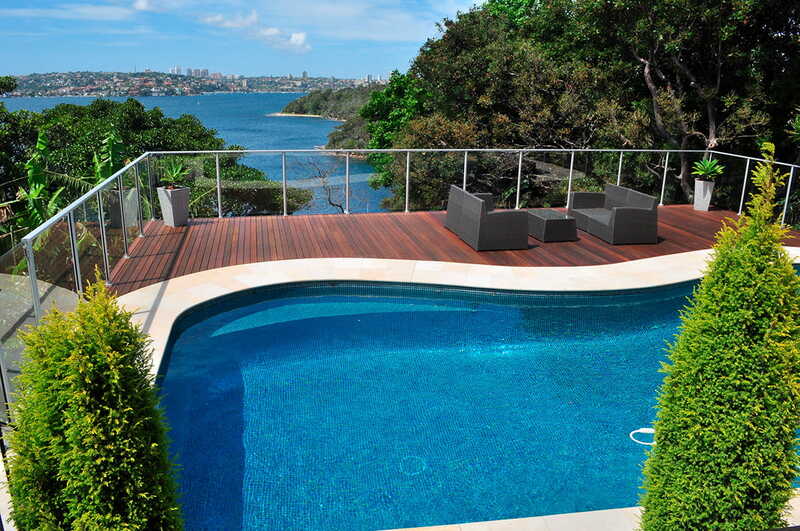 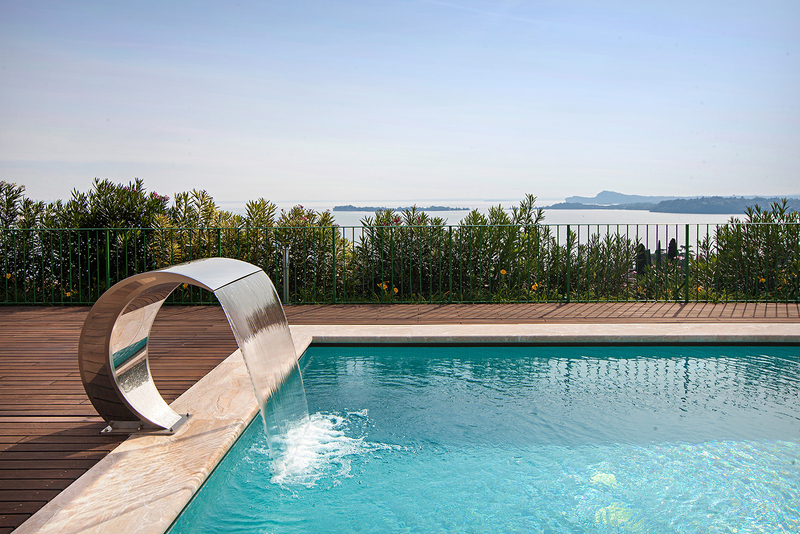 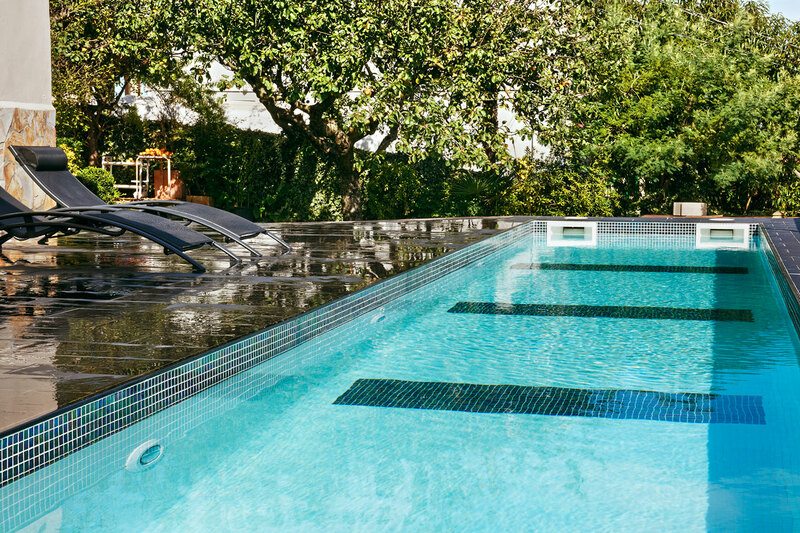 Exclusively designed by Ezarri to optimally and safely tap the edges of your pool’s steps. 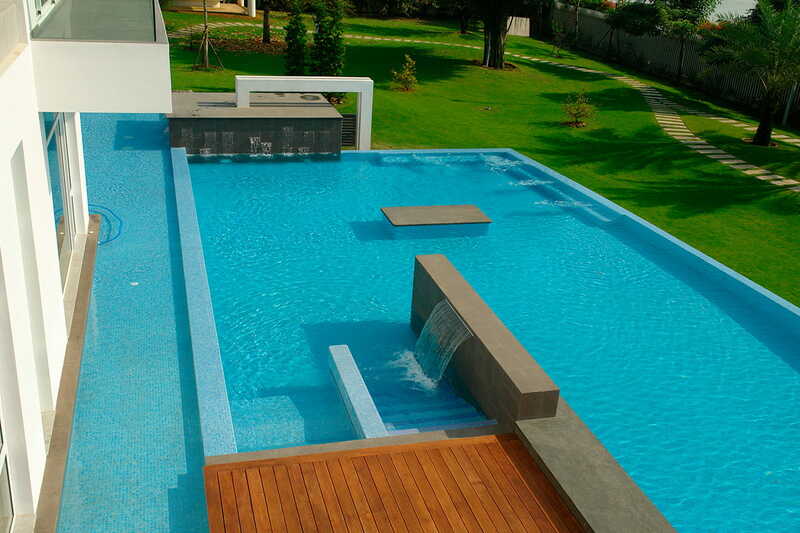 We guarantee the complete control of our quality management system. 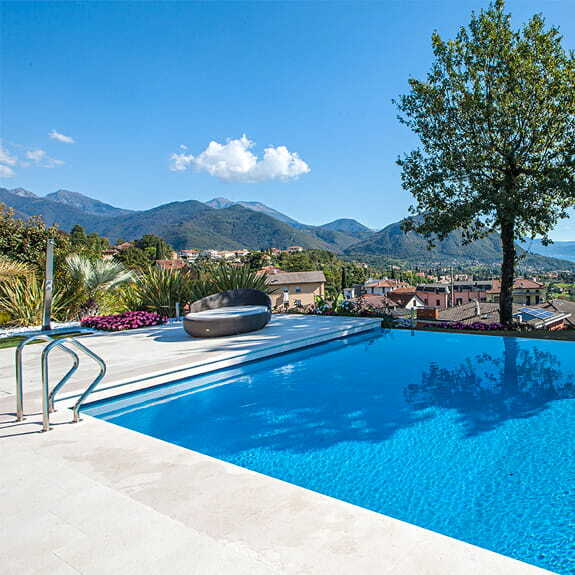 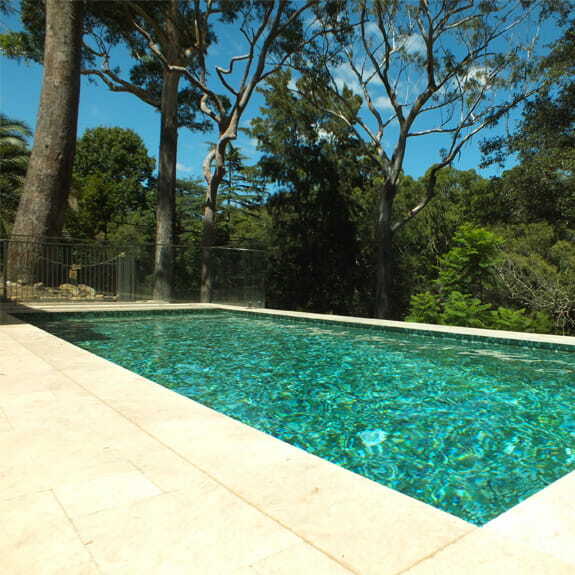 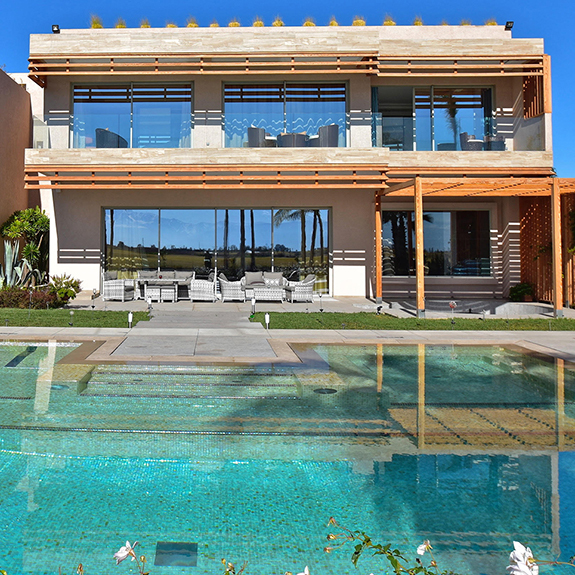 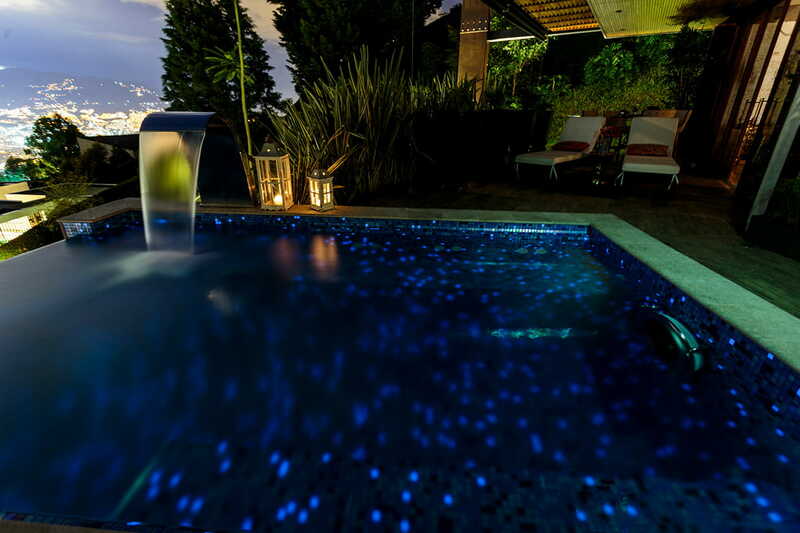 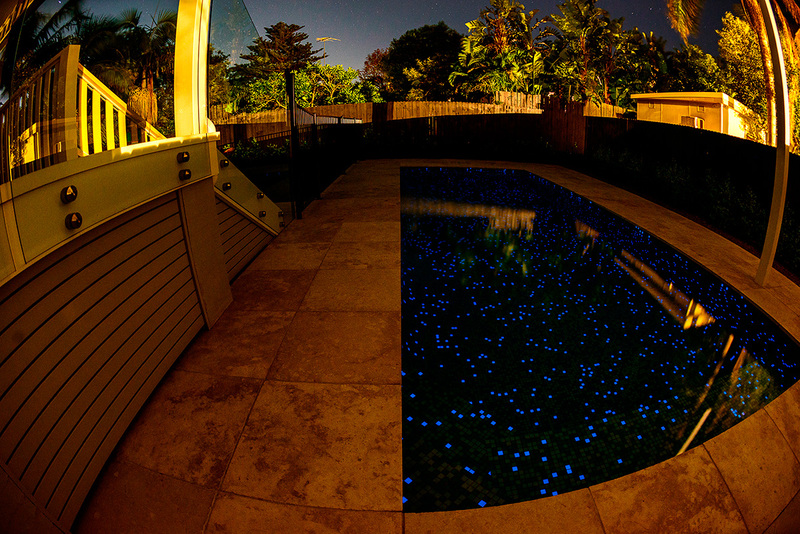 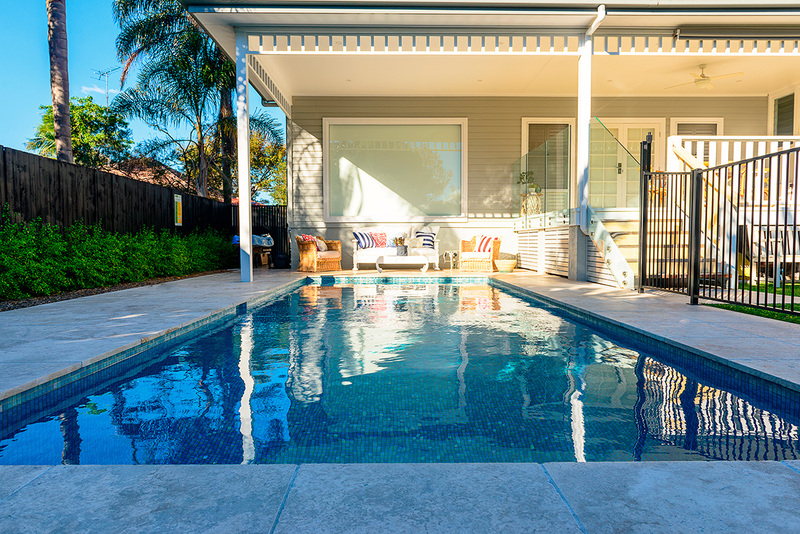 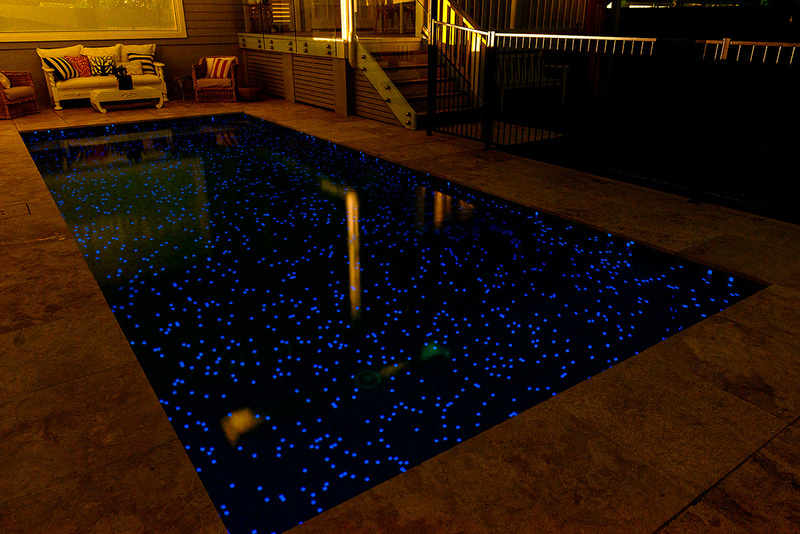 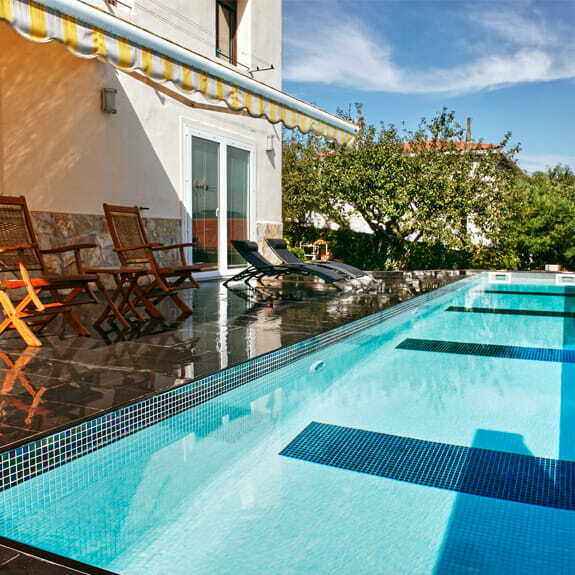 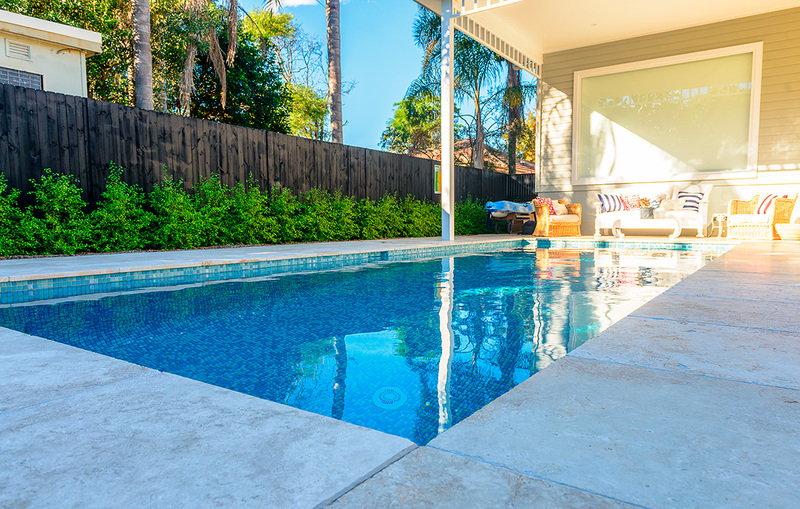 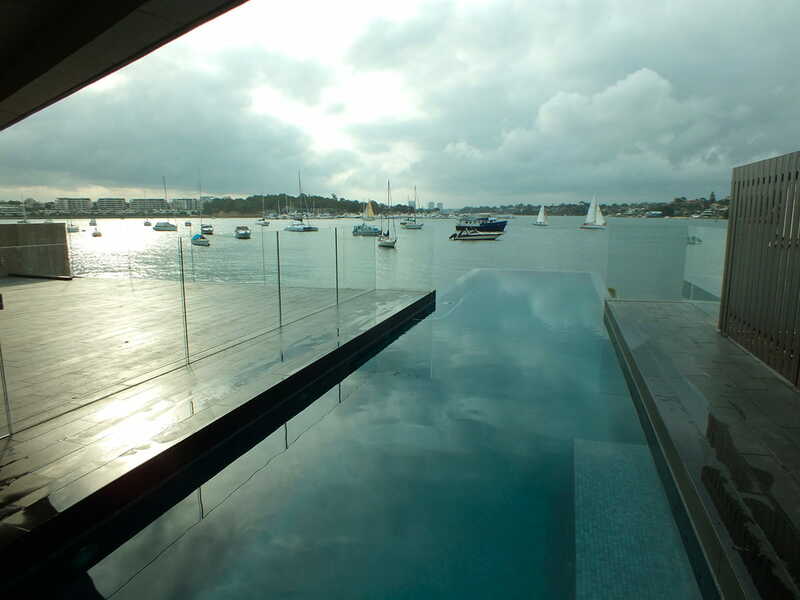 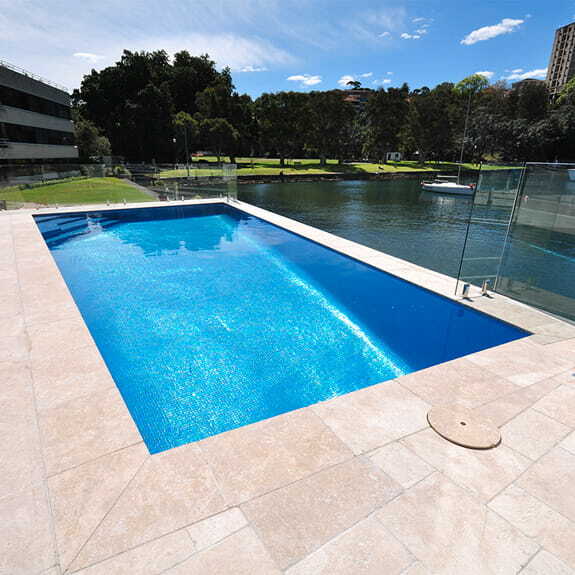 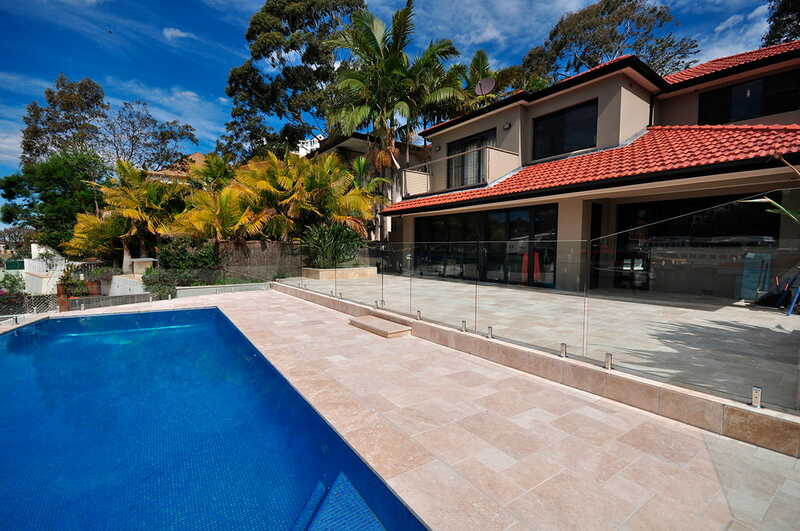 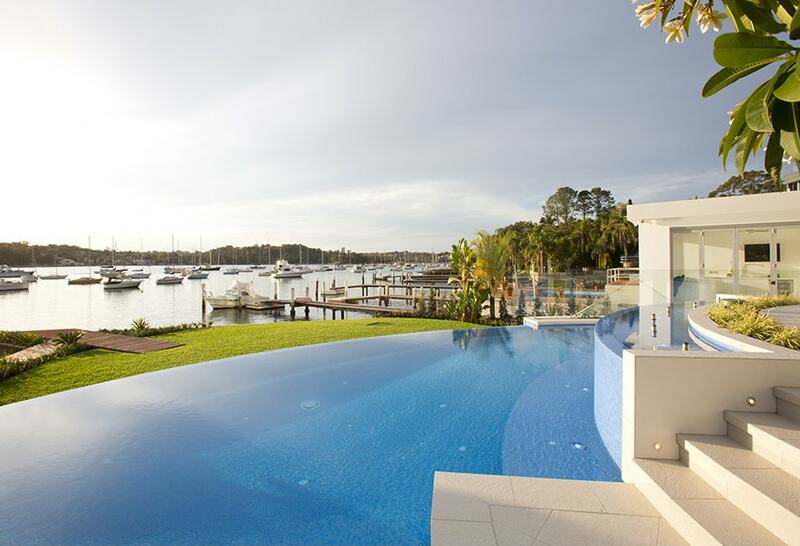 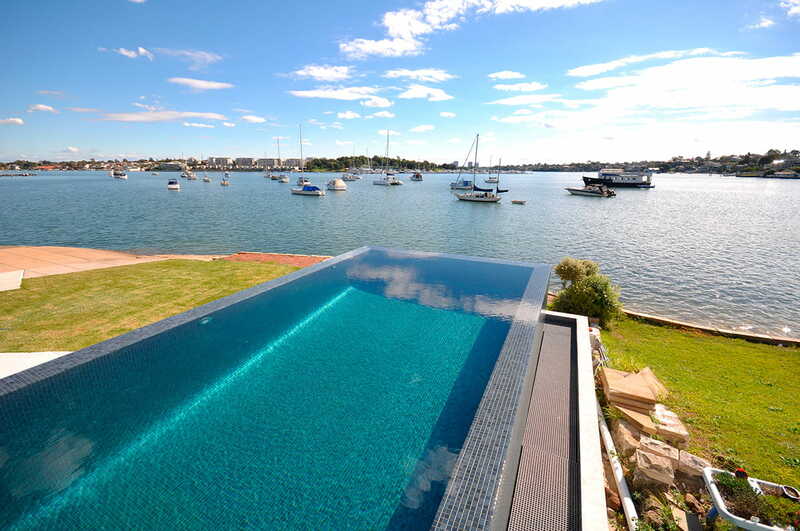 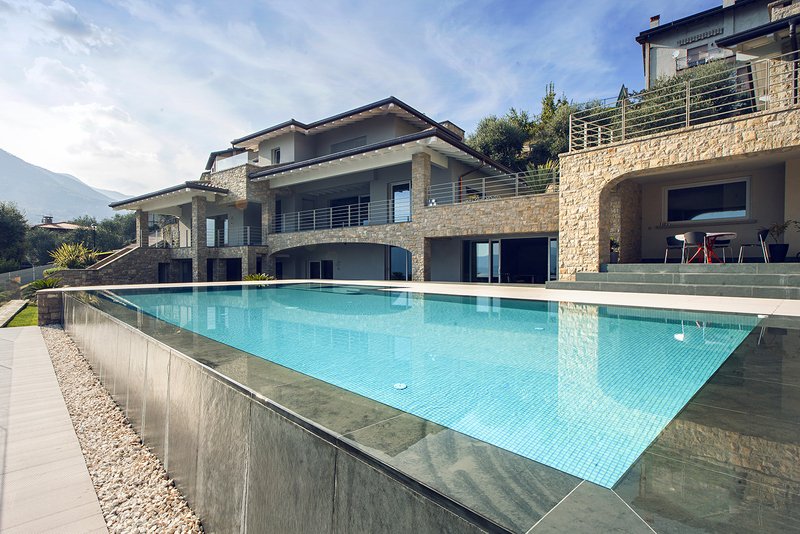 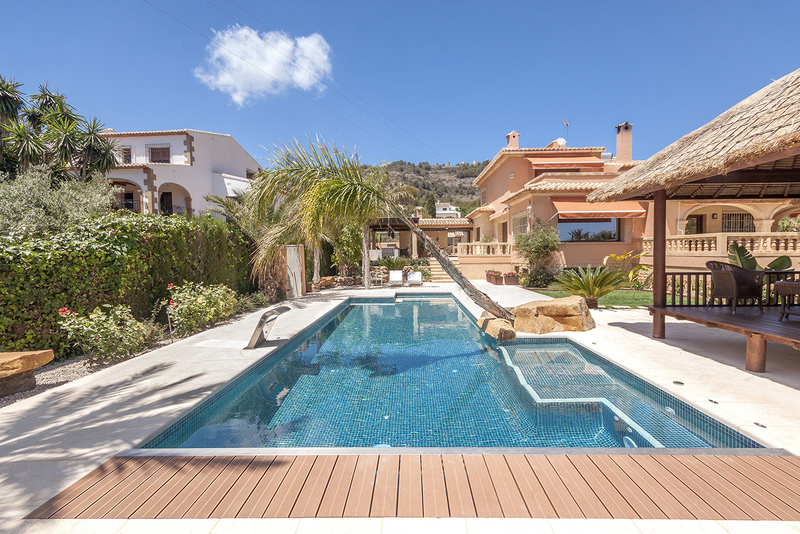 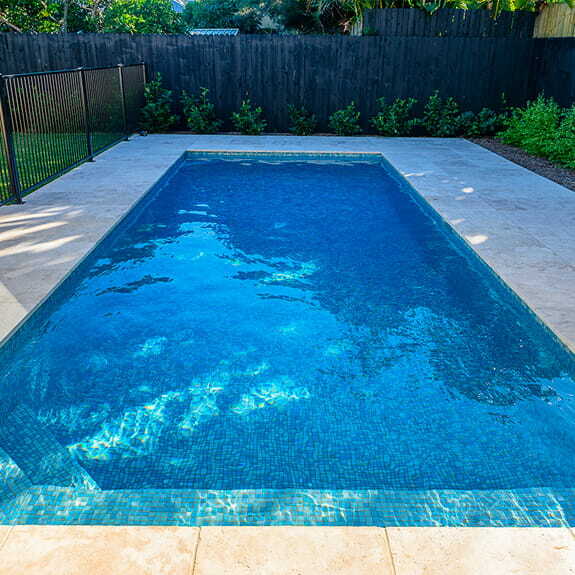 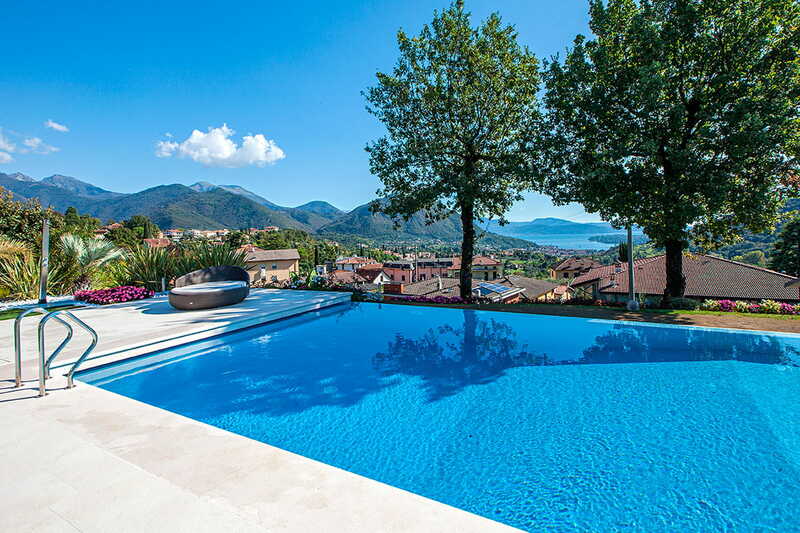 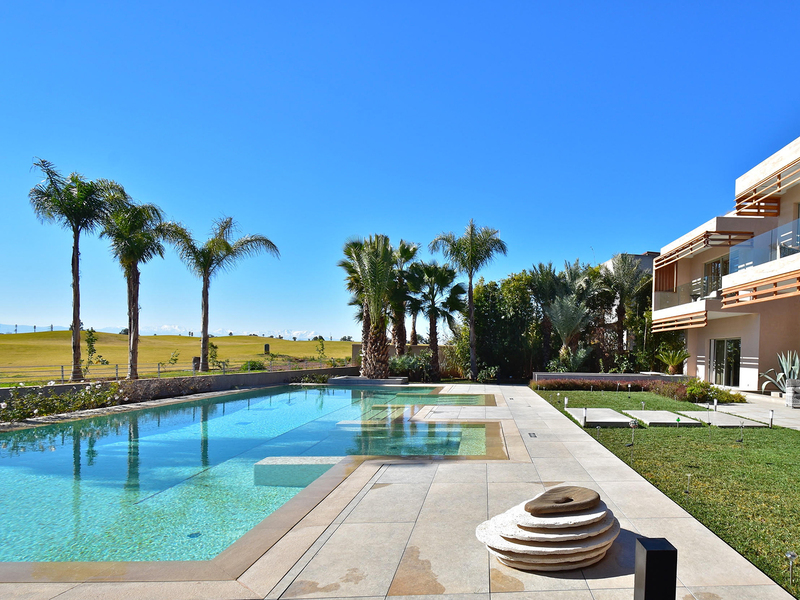 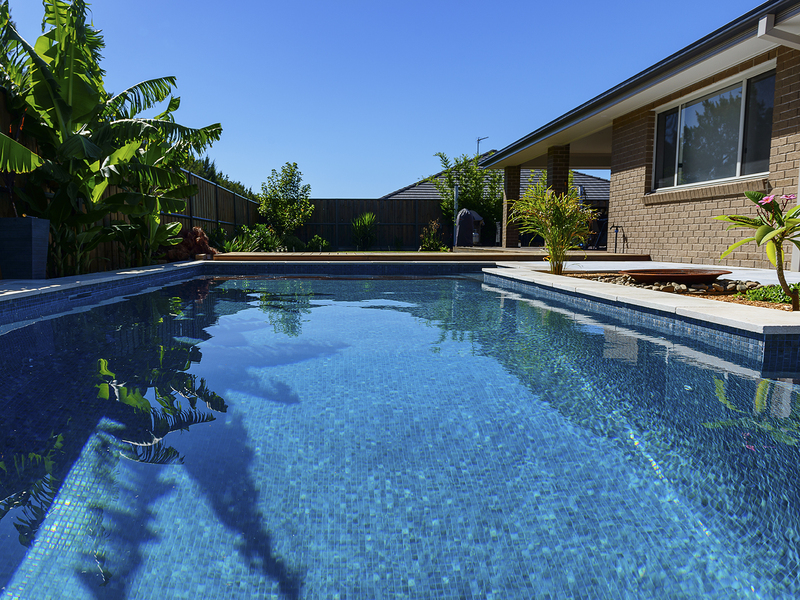 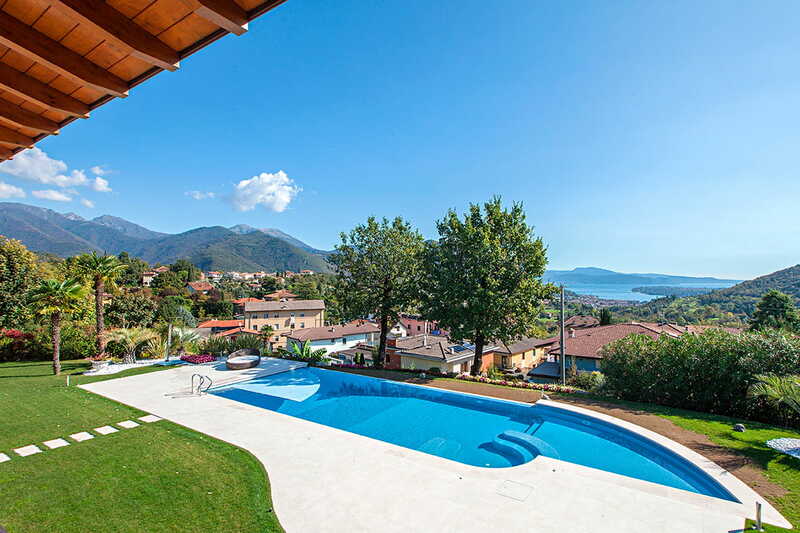 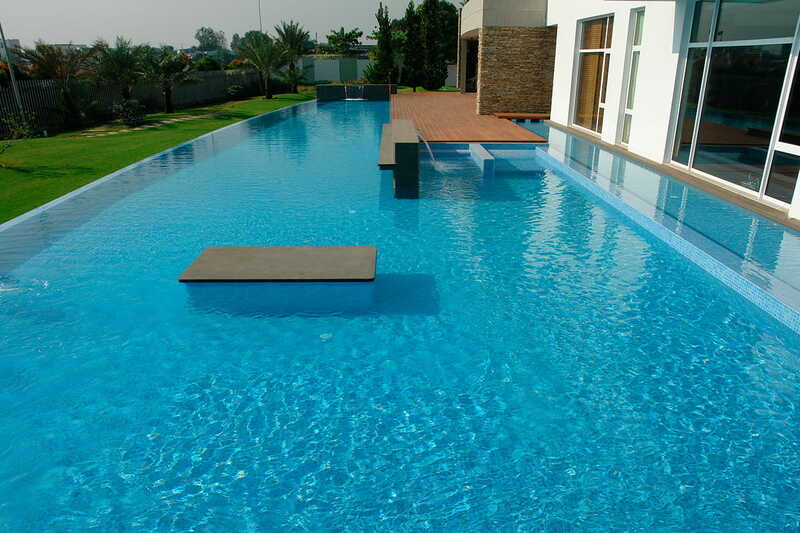 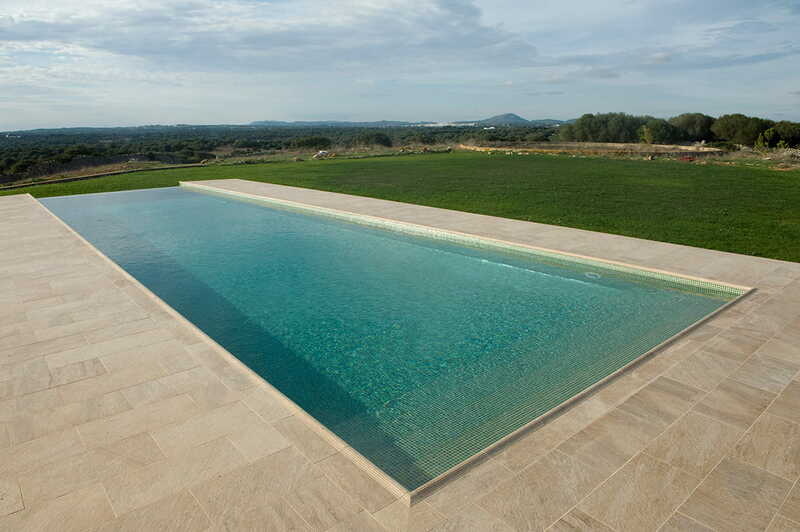 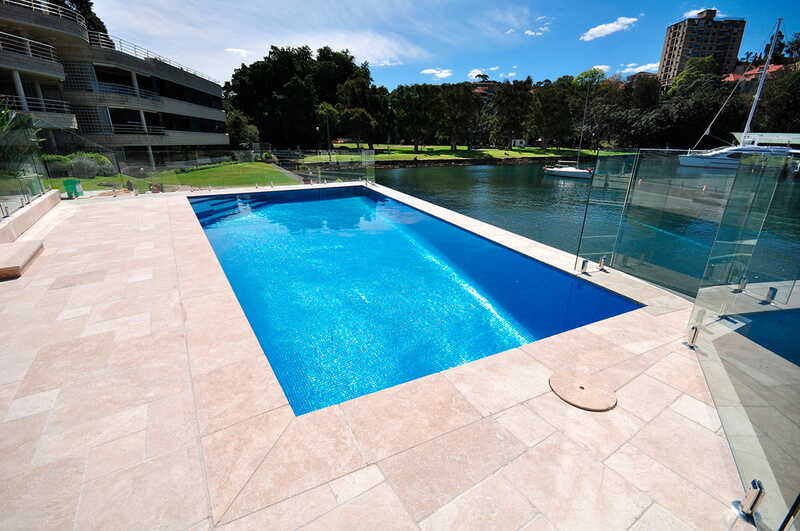 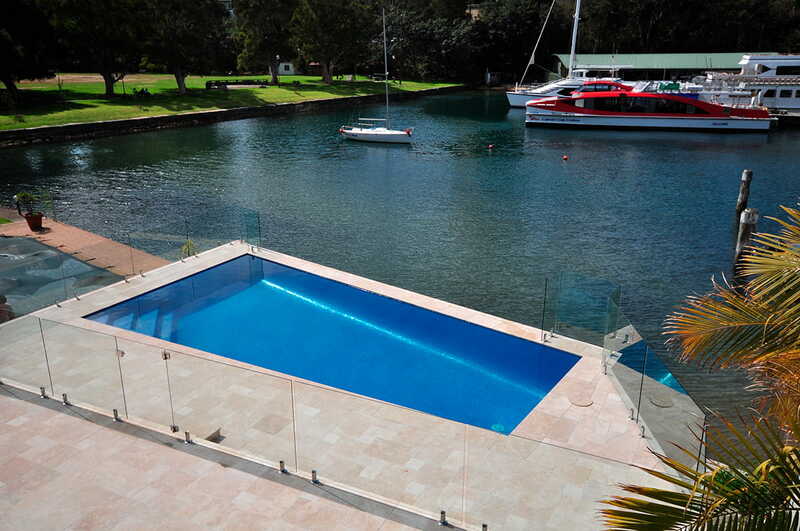 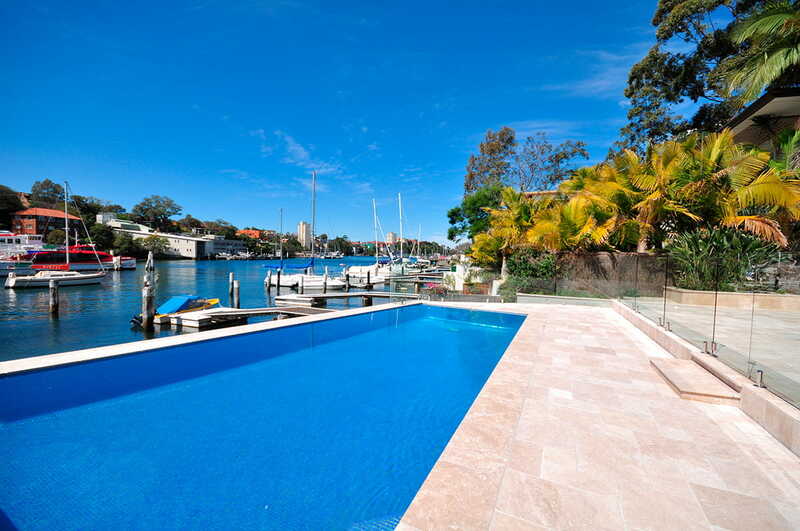 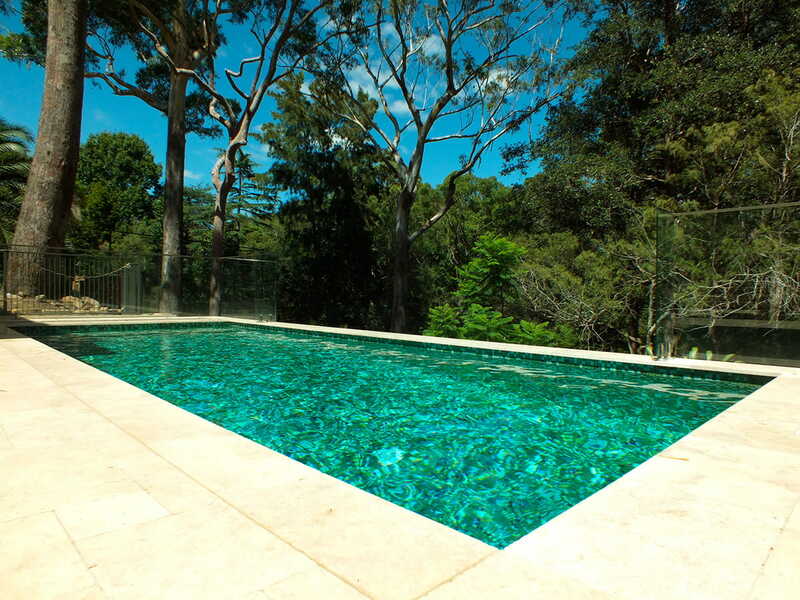 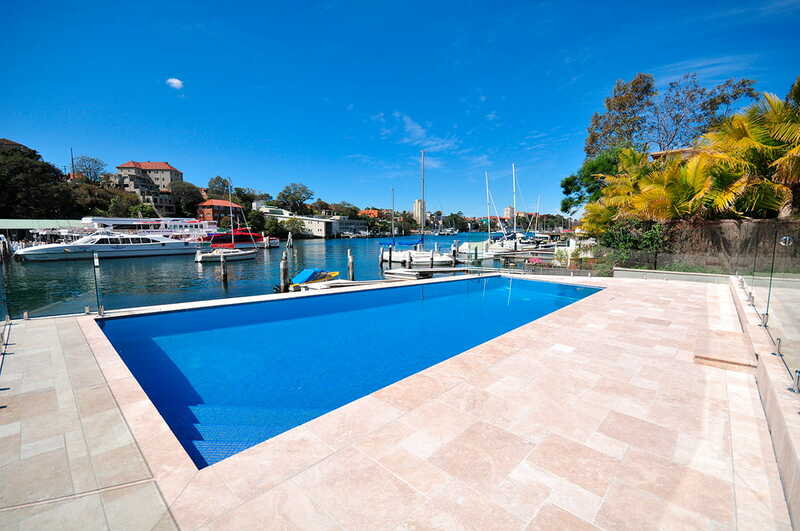 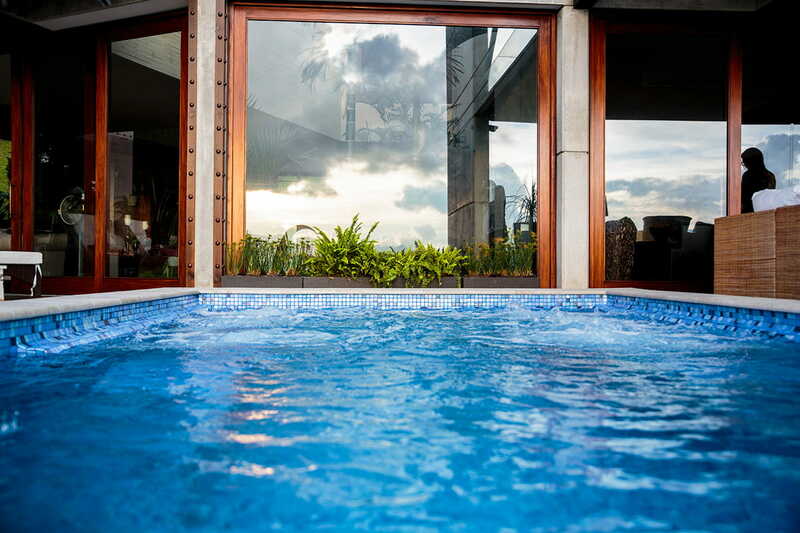 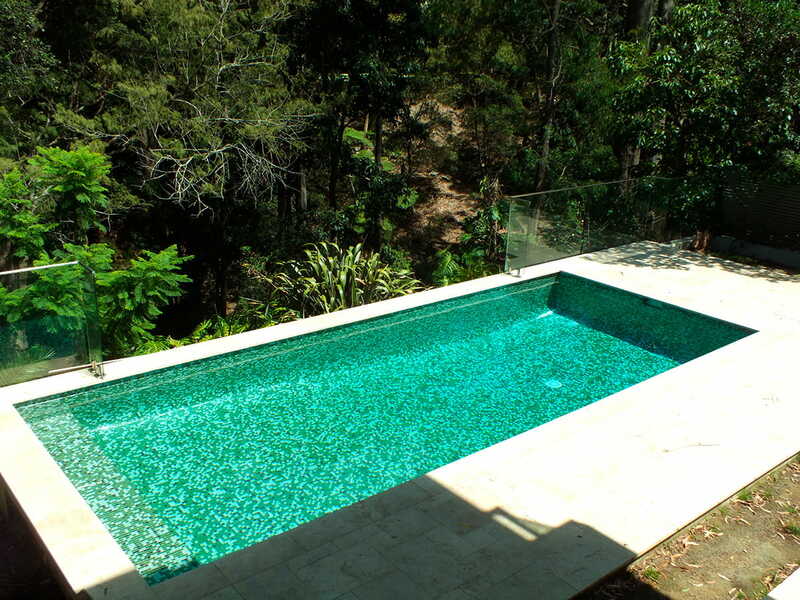 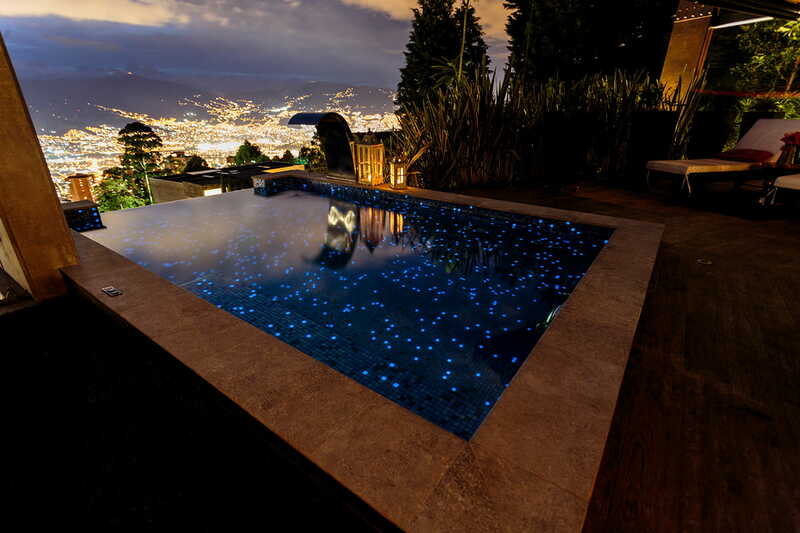 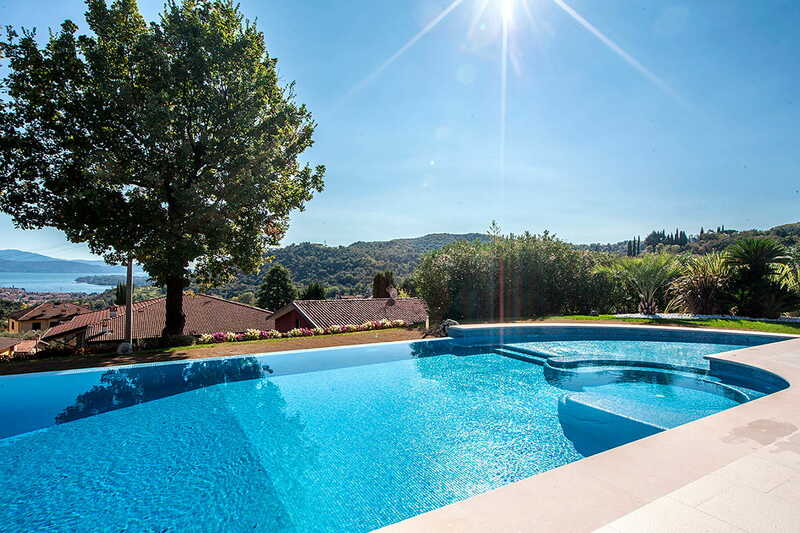 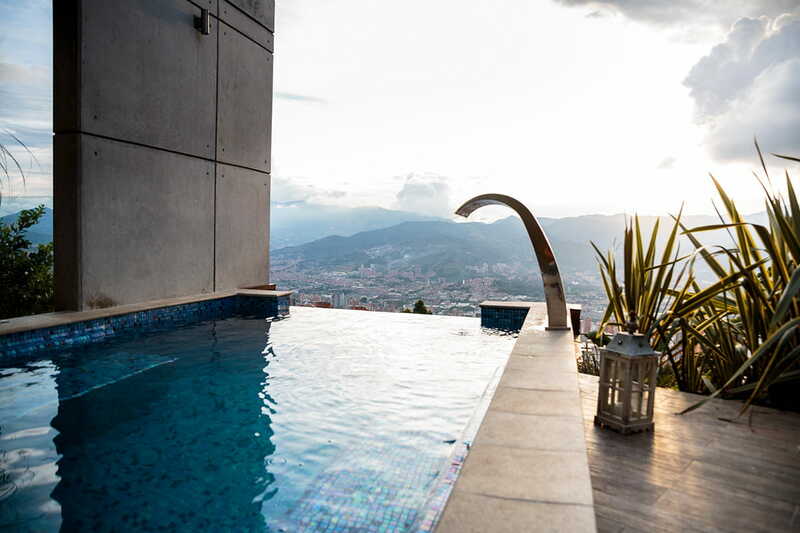 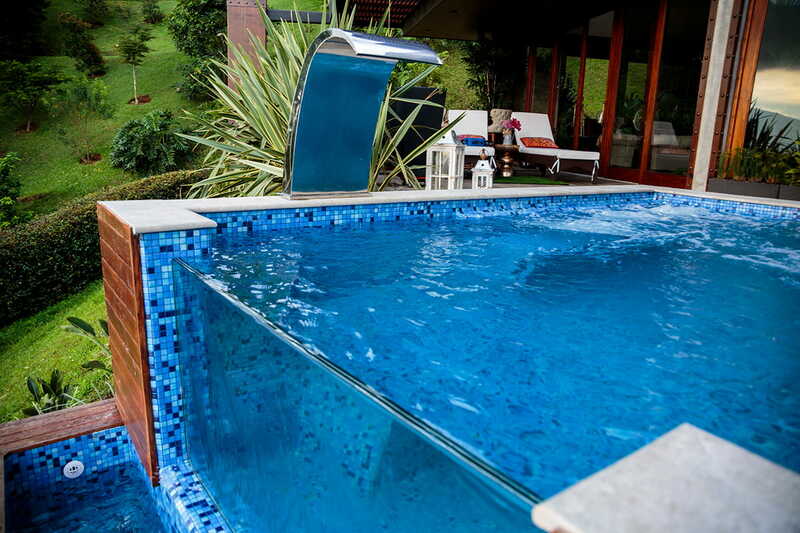 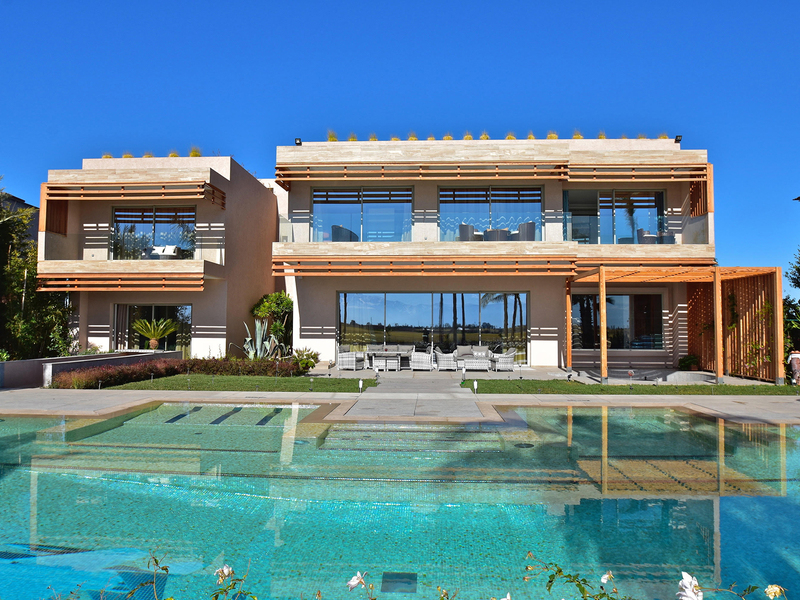 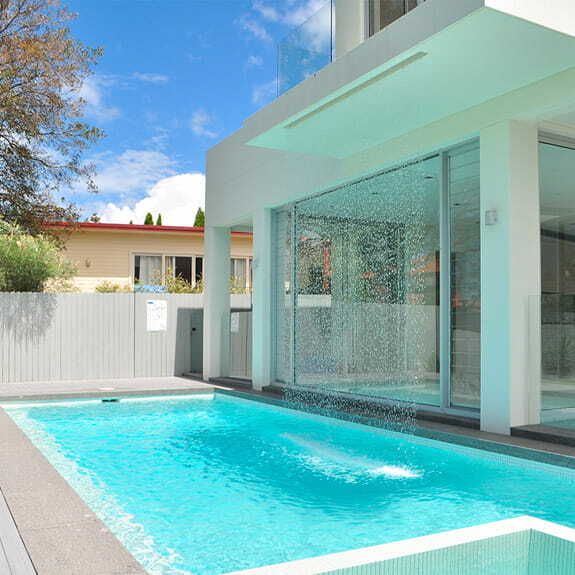 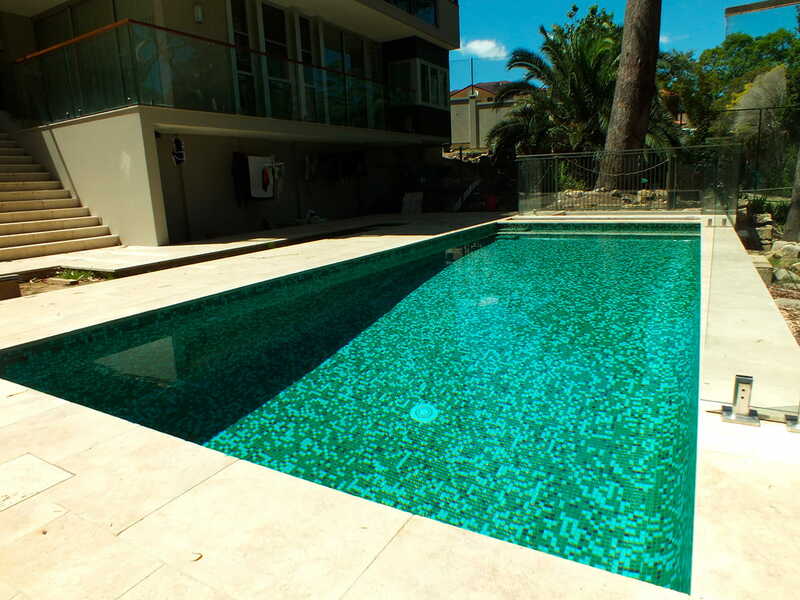 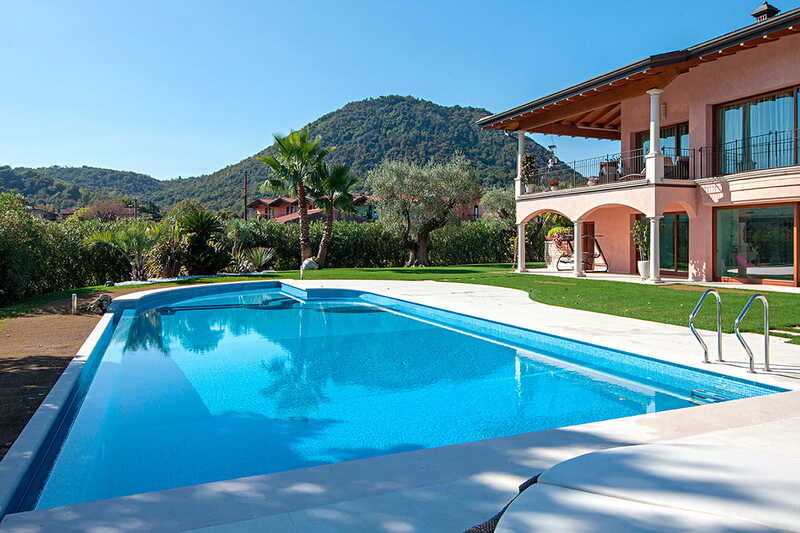 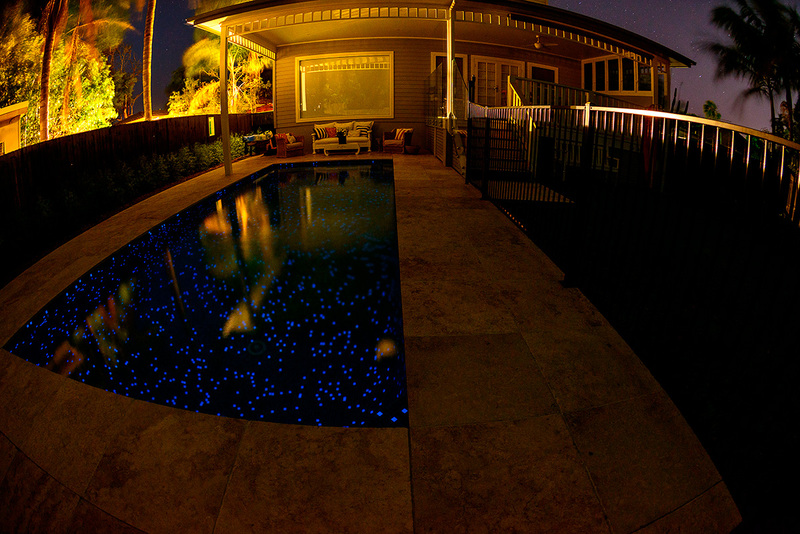 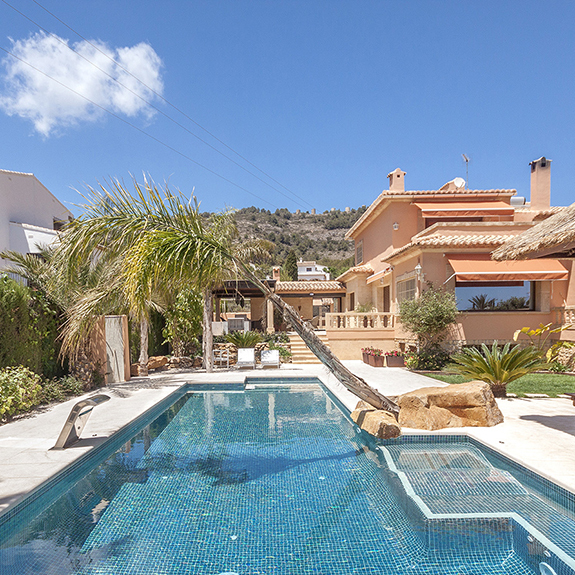 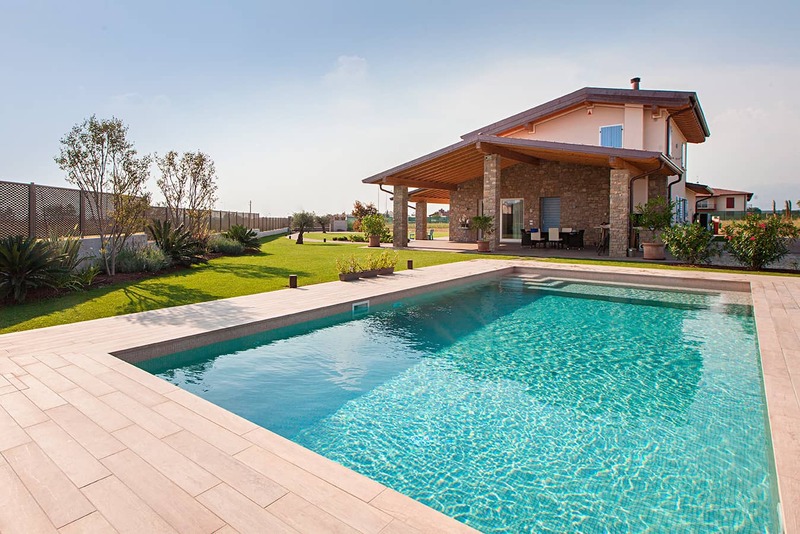 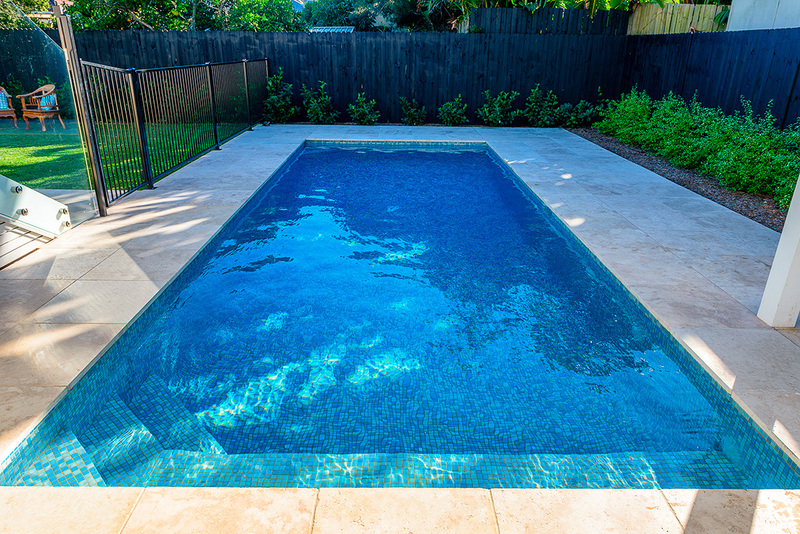 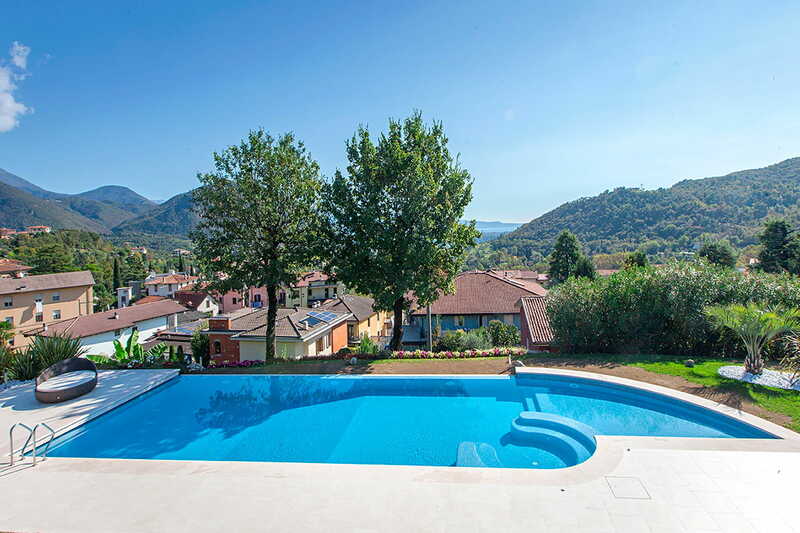 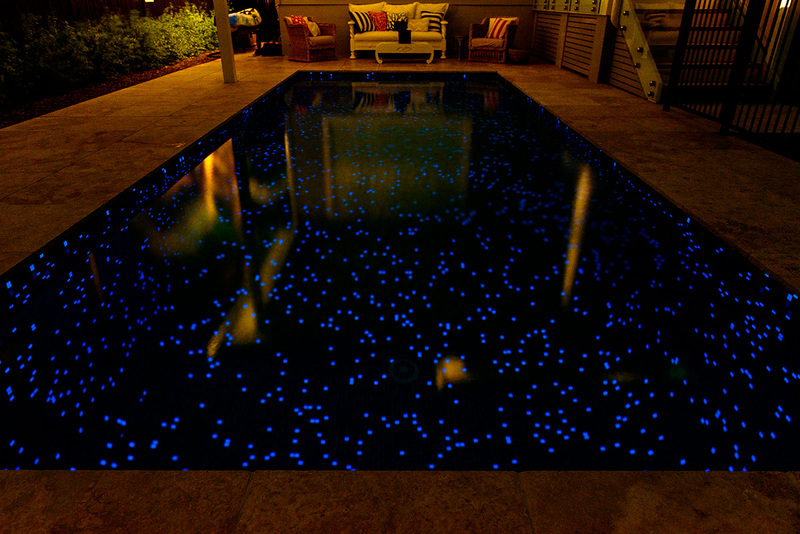 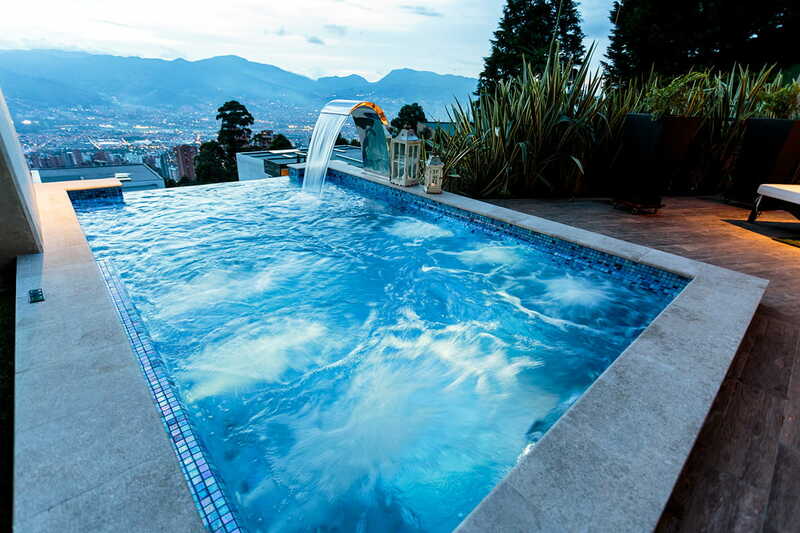 We make mixes that are specifically designed for you, thus giving your pool´s coating a unique flair. 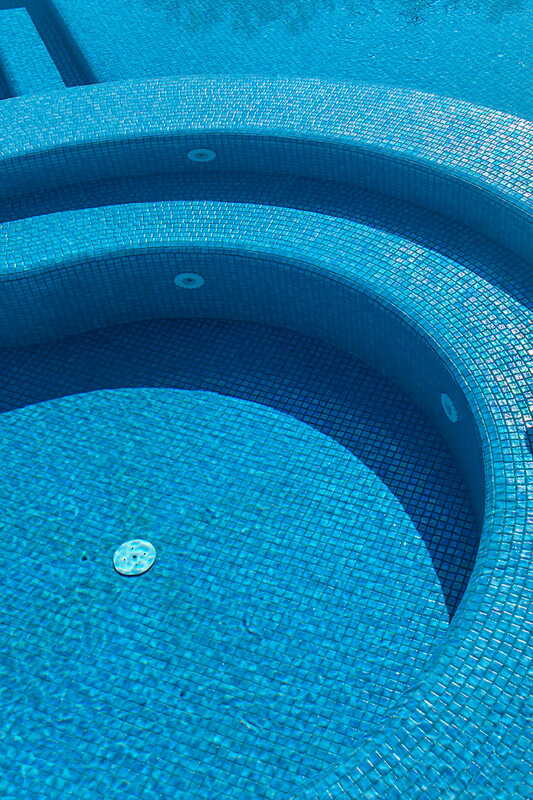 Use our mix generator. 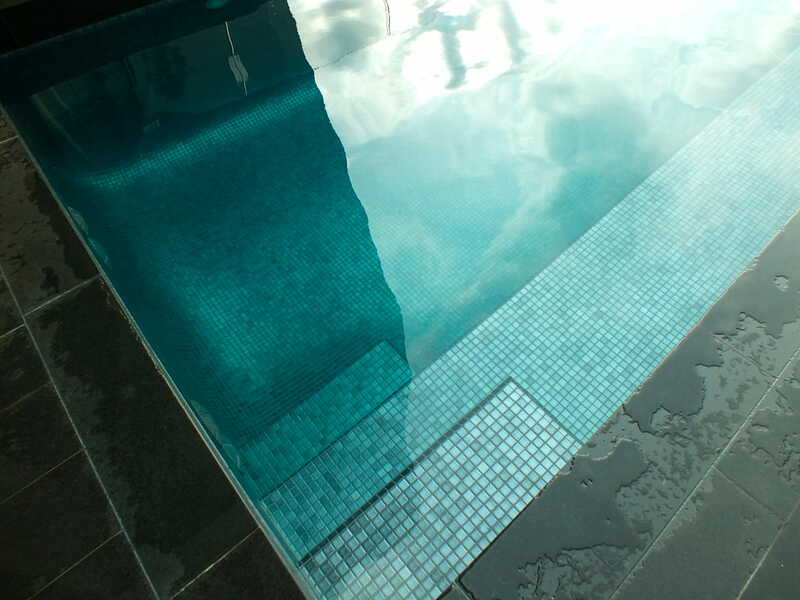 Photos, logos, initials.... whatever the design may be, with our technology we can print any image onto our mosaics. 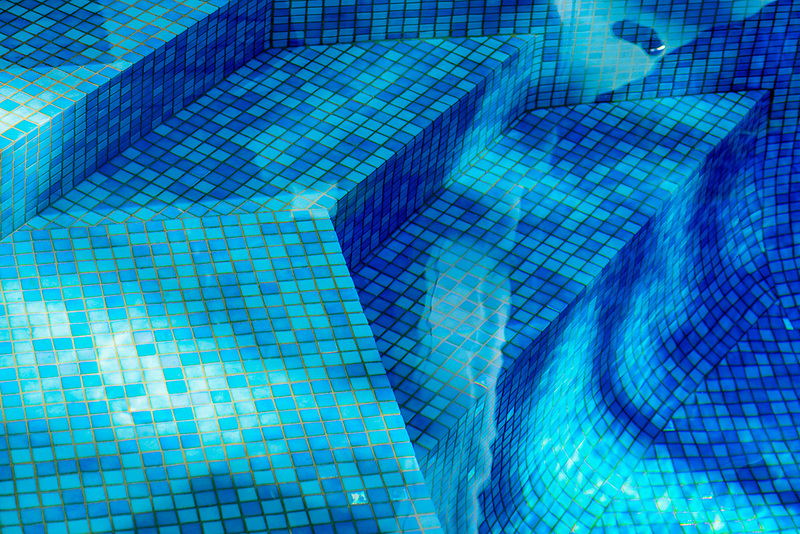 Additionally, printed images are resistant to chemical products.